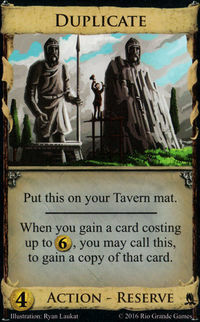 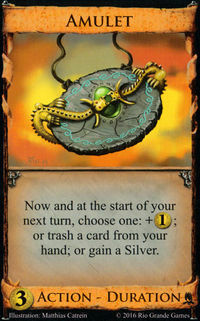 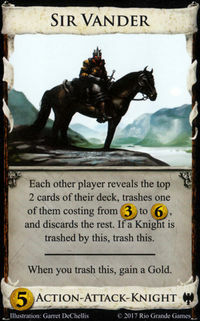 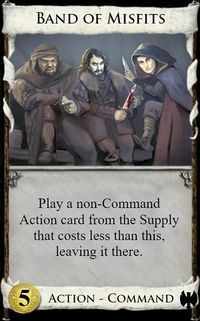 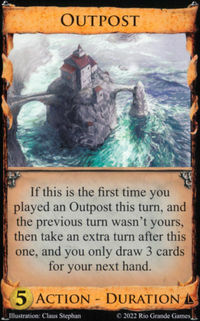 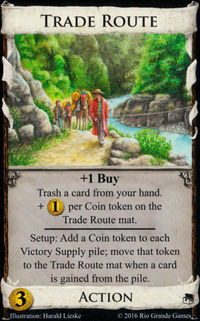 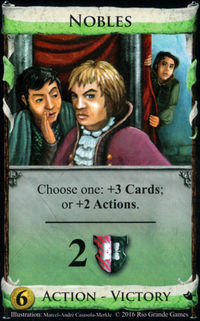 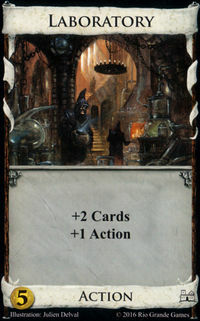 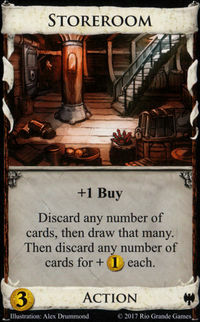 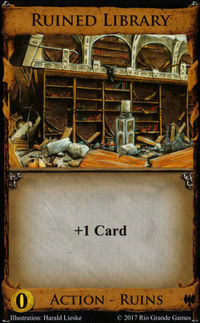 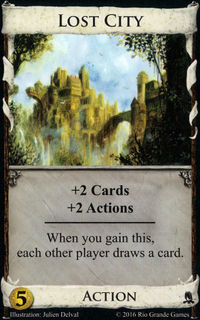 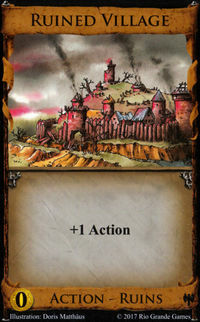 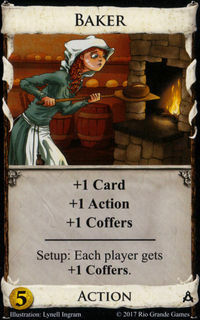 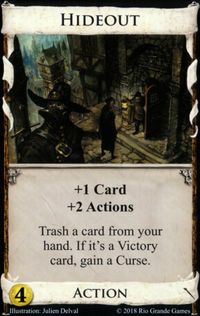 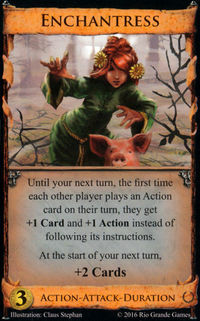 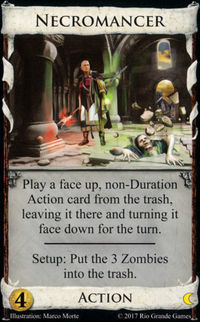 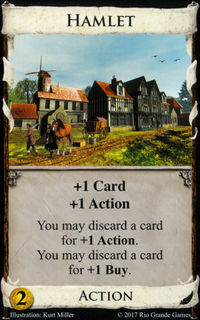 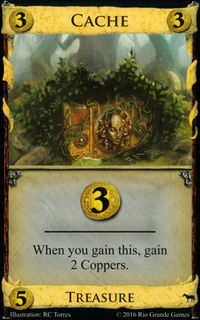 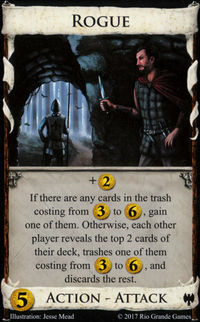 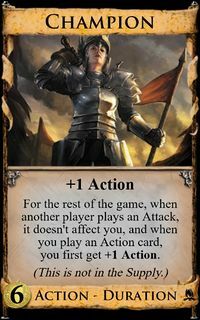 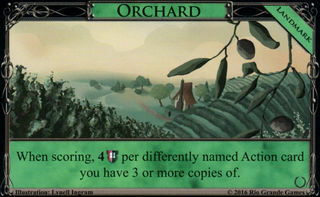 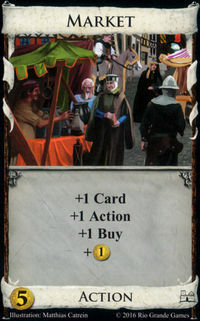 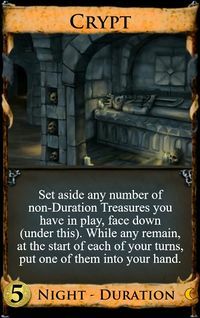 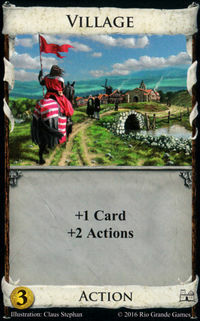 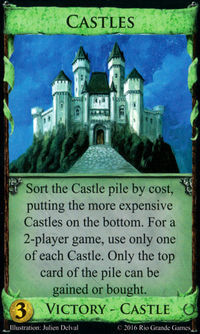 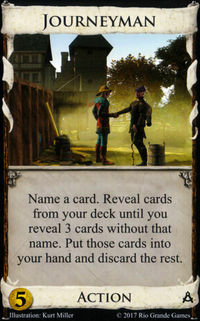 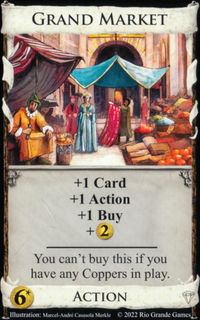 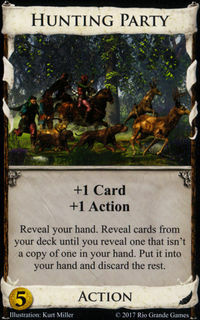 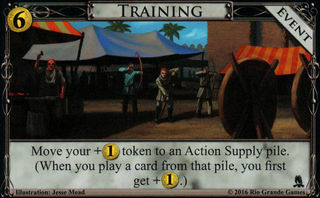 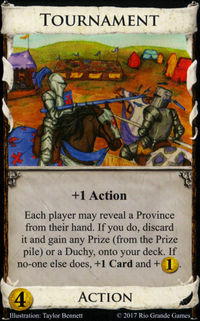 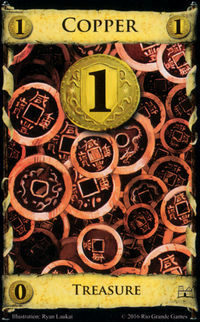 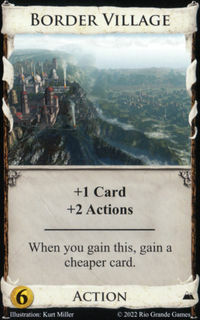 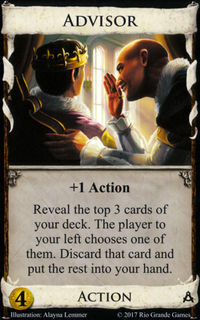 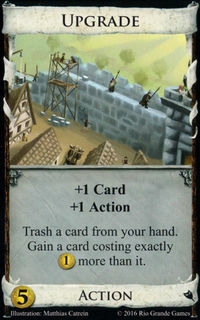 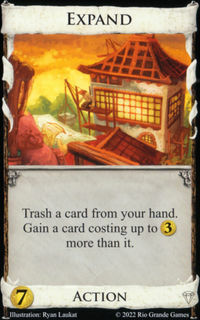 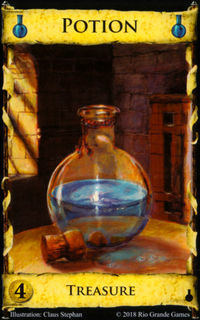 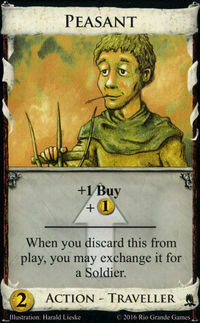 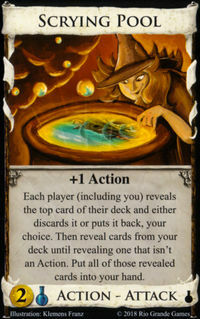 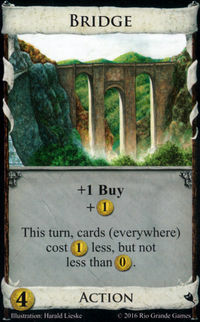 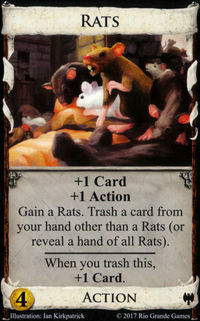 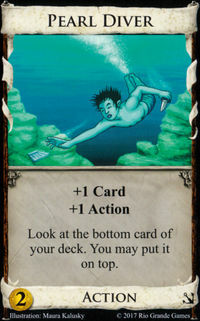 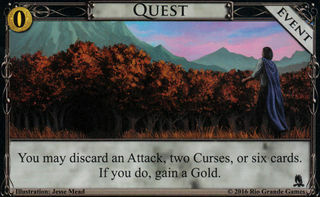 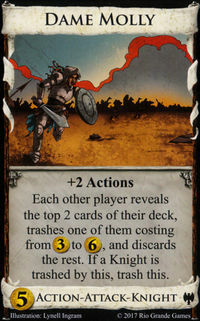 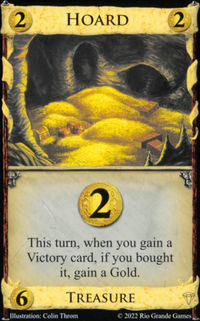 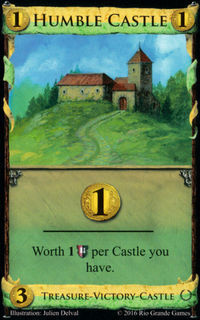 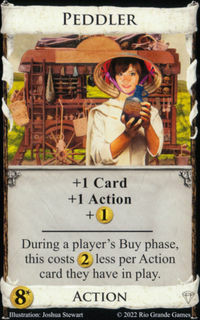 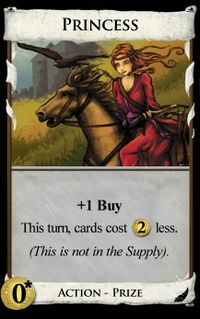 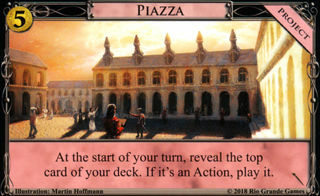 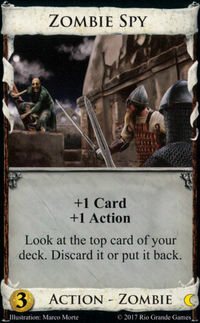 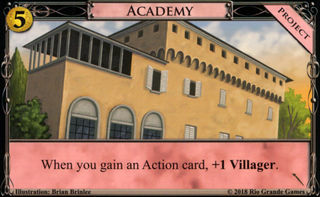 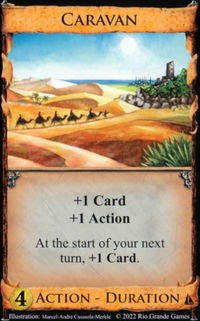 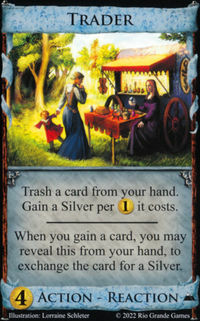 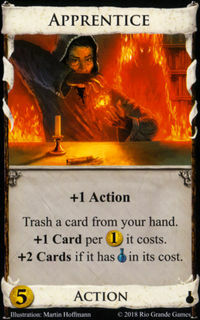 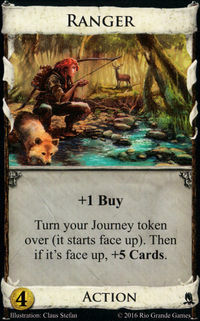 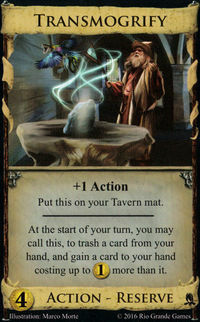 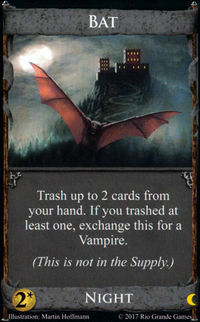 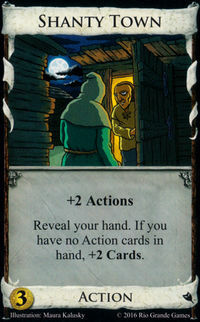 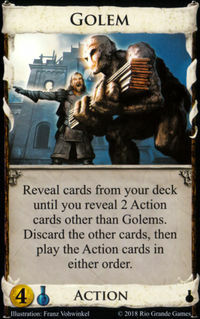 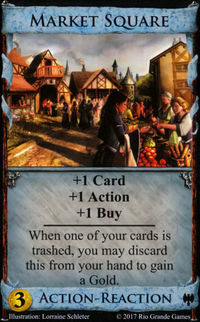 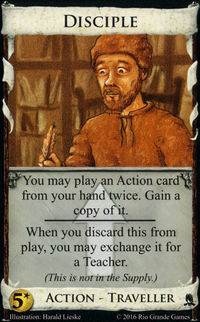 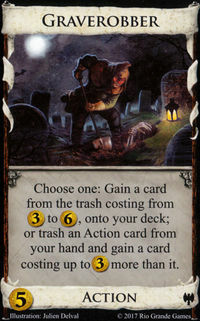 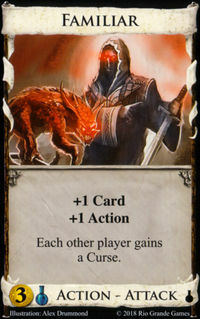 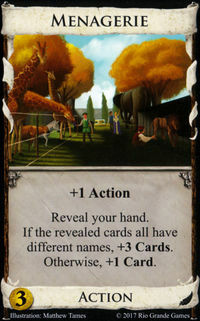 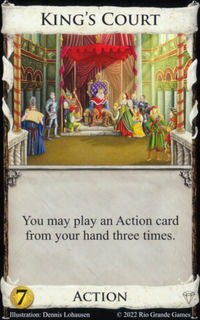 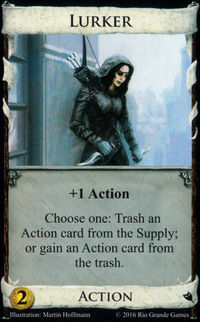 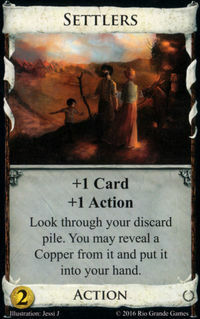 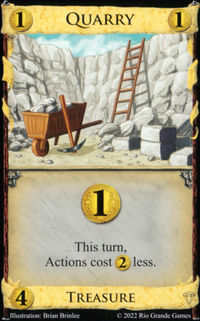 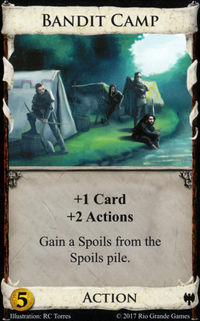 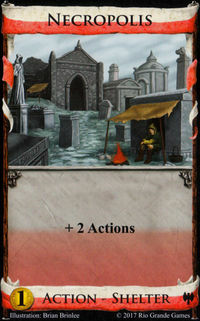 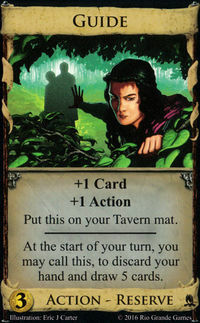 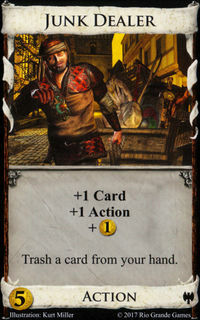 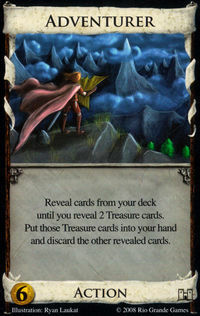 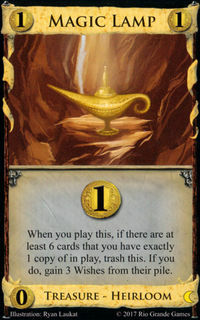 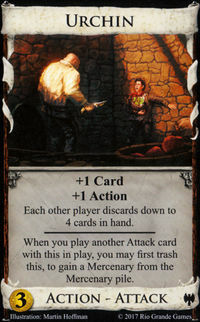 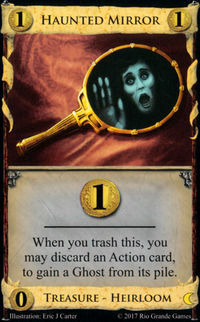 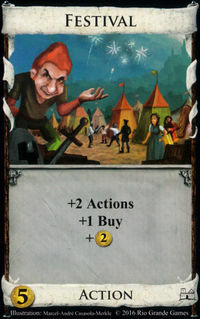 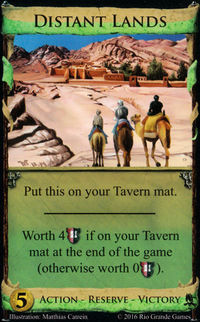 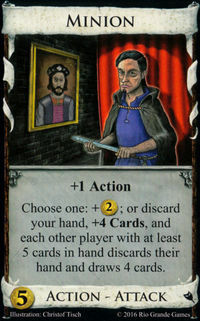 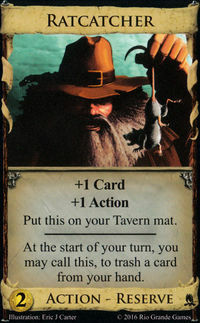 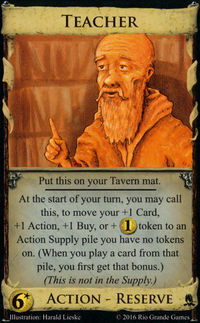 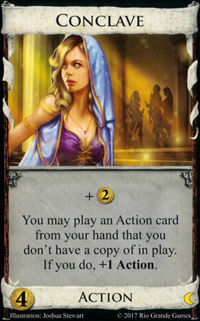 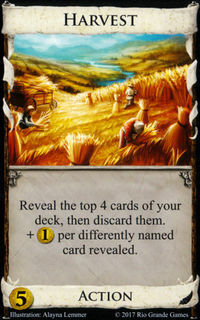 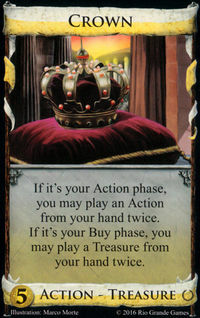 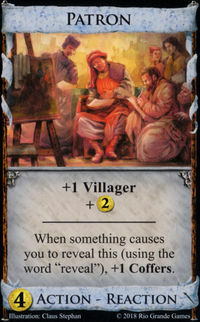 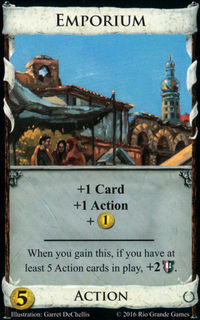 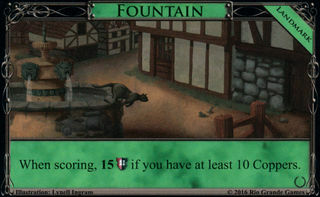 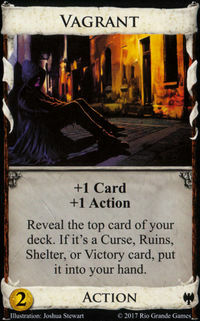 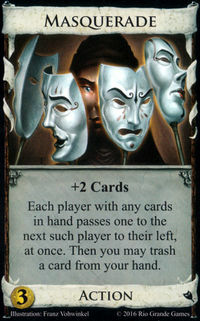 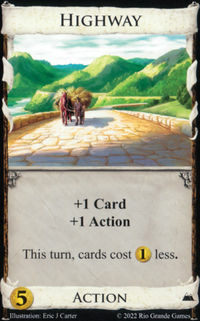 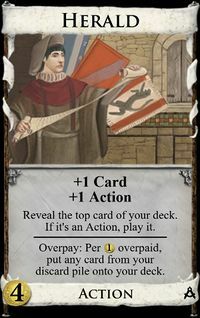 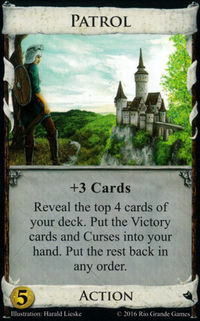 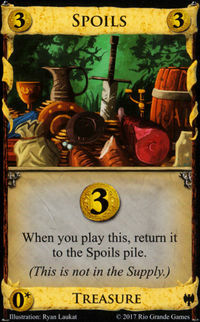 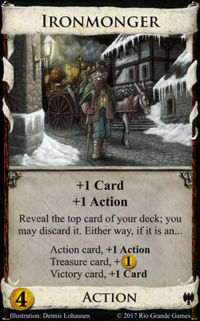 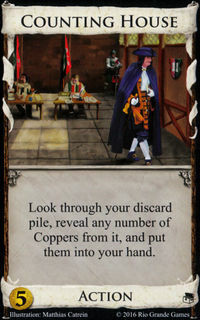 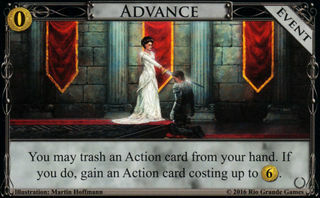 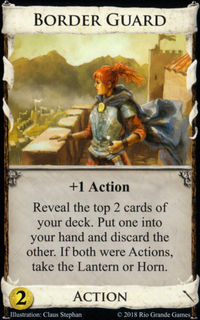 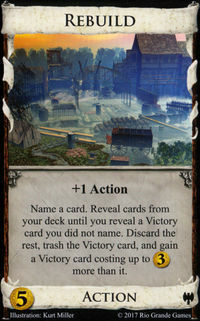 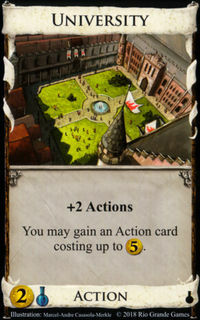 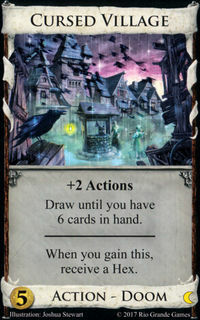 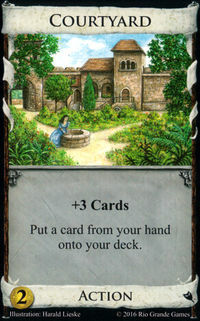 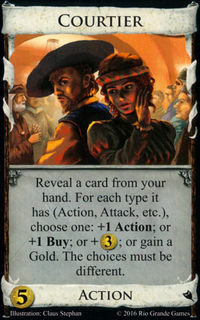 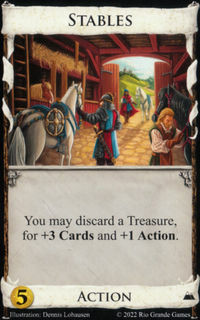 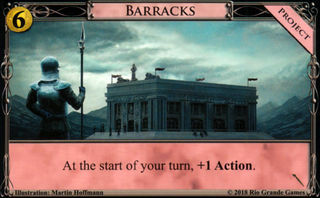 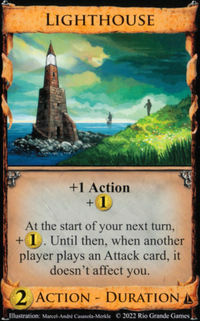 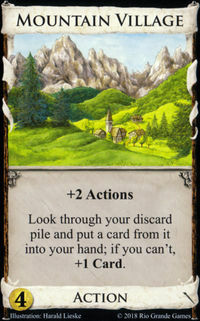 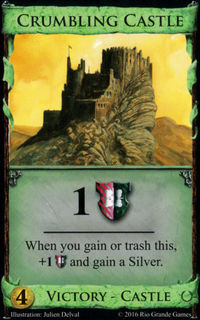 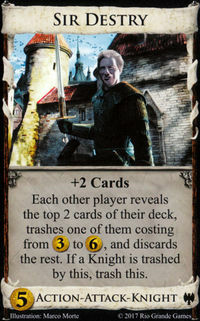 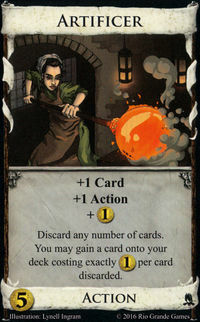 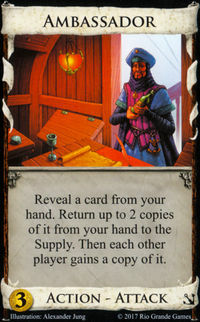 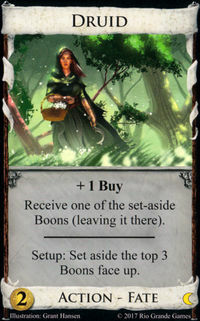 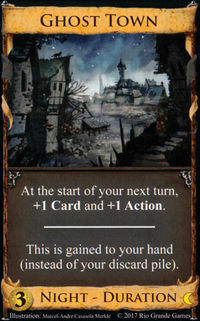 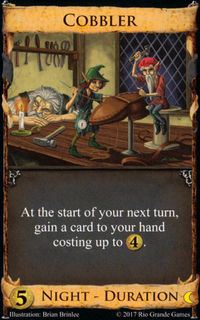 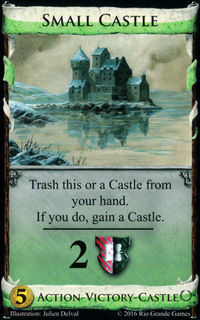 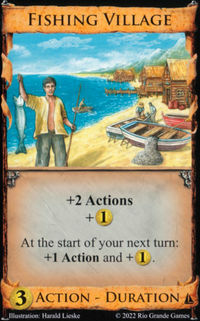 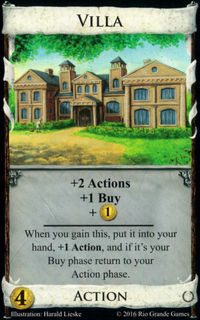 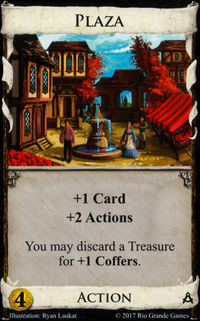 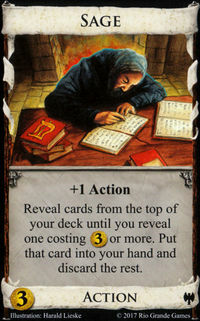 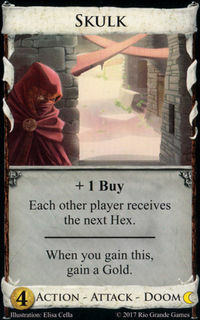 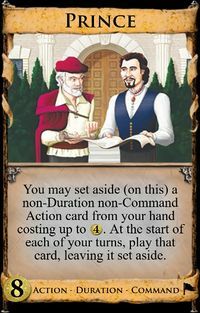 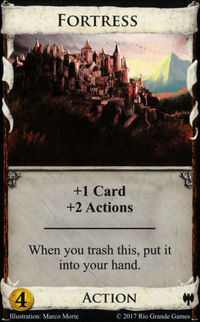 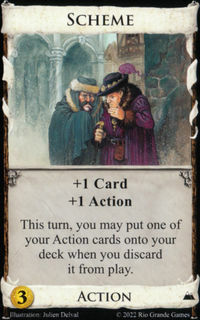 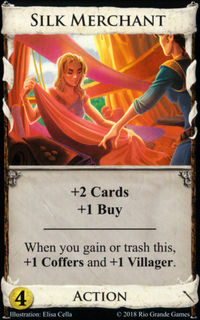 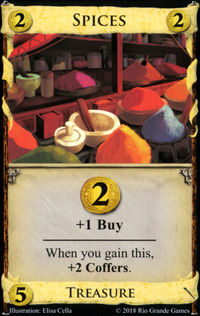 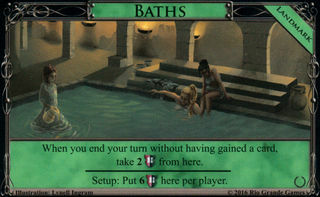 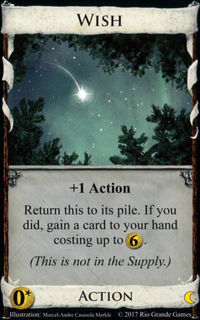 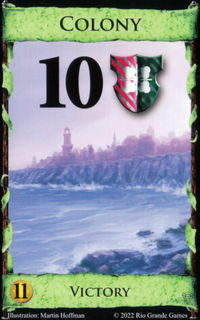 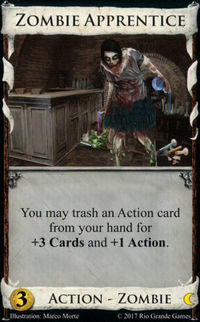 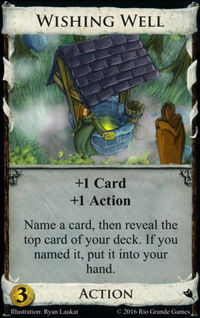 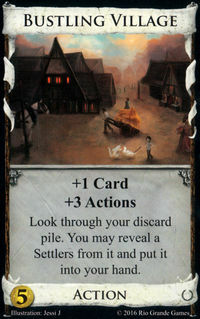 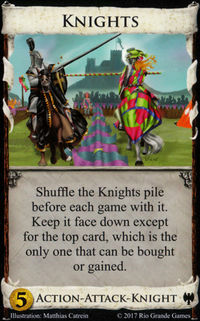 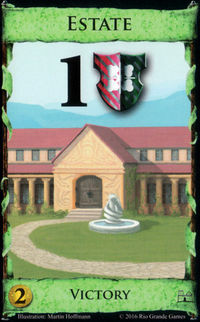 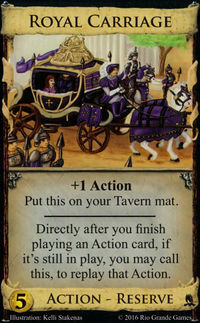 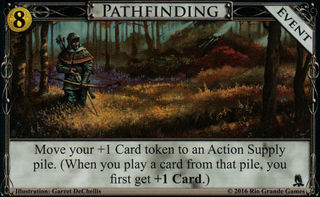 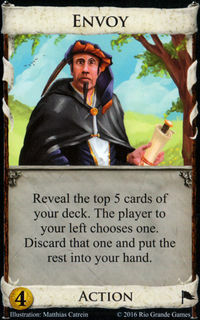 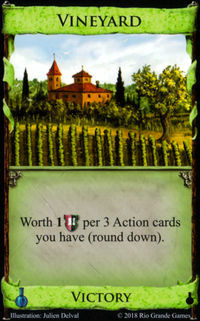 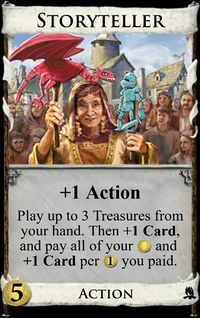 Walled Village is a promotional Action card. 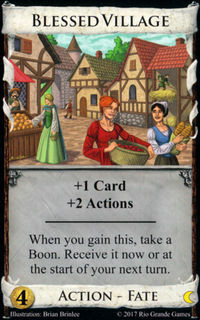 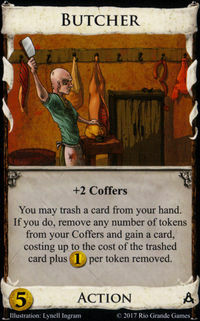 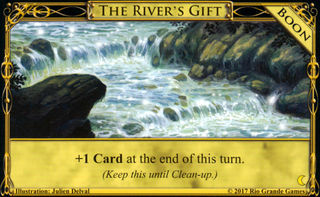 It functions as a village, giving +2 Actions; and you can return it to the top of your deck for your next turn if (as it were) you didn't use both Actions it gives you. 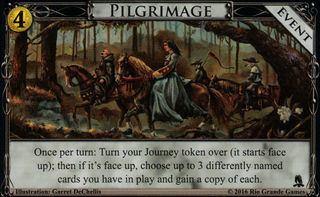 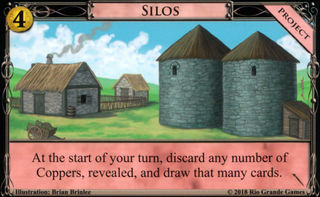 This mitigates some of the randomness of an engine based on villages and terminal actions by reducing the probability of drawing your village on one turn with no terminals and then two terminals on another turn with no village—you can save up Walled Village from turn to turn until it matches up with your terminals. 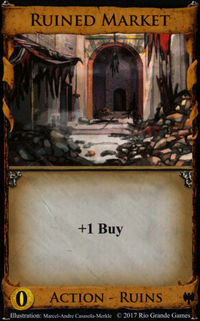 However, this benefit is often too marginal to make up for the fact that it costs more than vanilla Village . 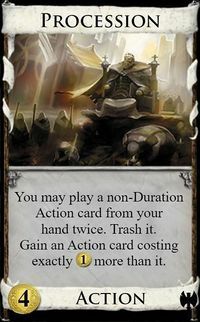 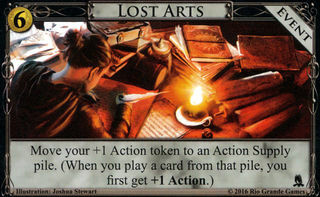 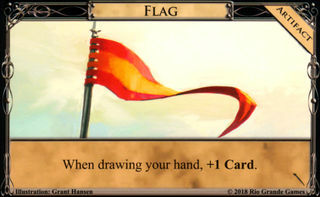 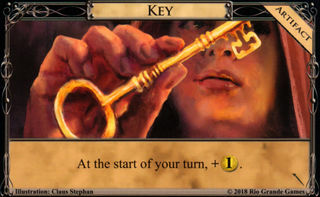 When you play this, you draw a card and can play two more Actions this turn. 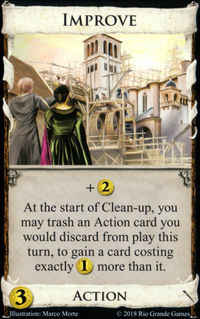 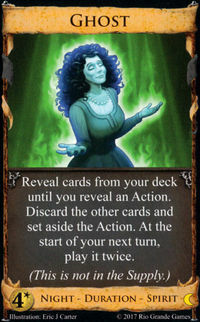 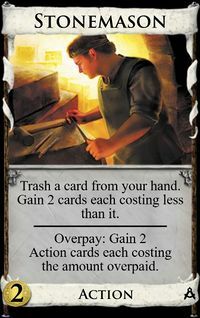 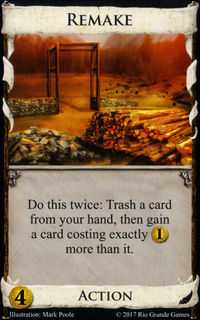 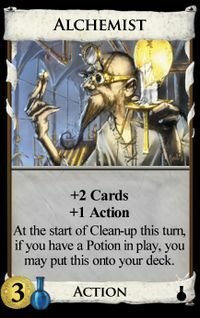 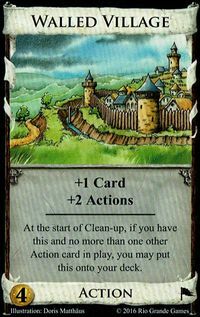 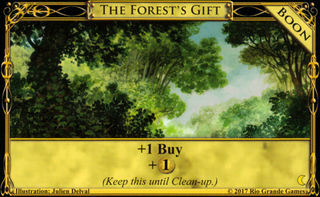 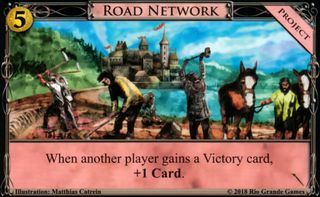 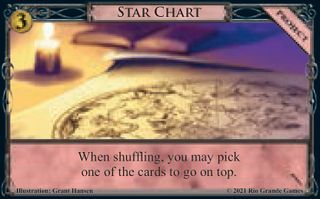 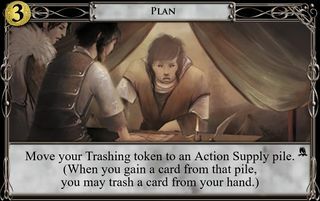 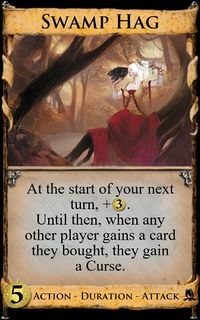 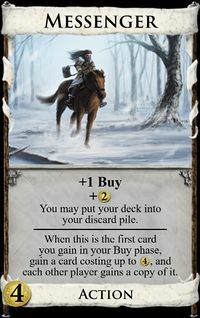 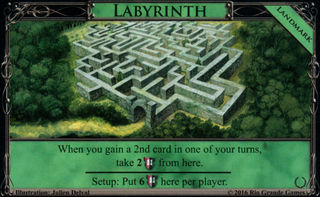 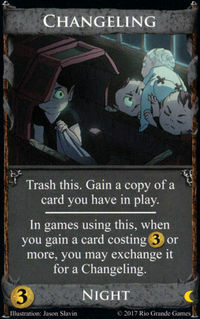 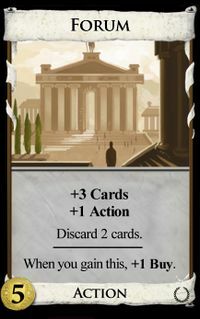 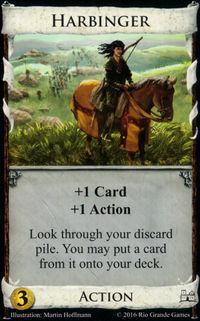 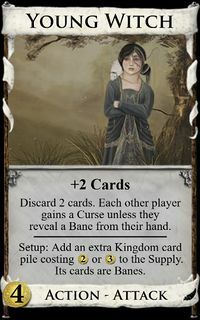 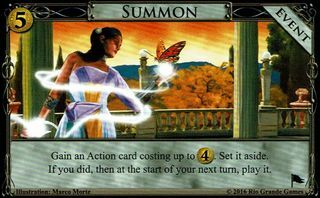 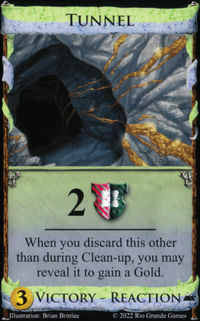 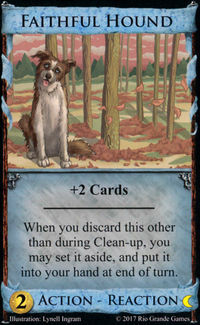 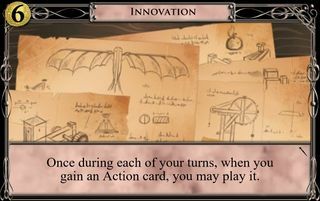 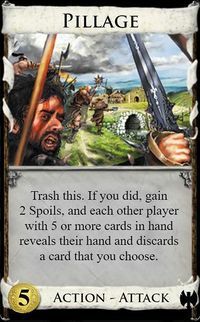 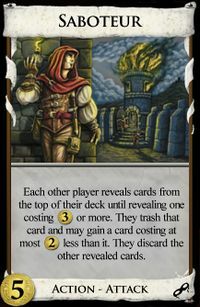 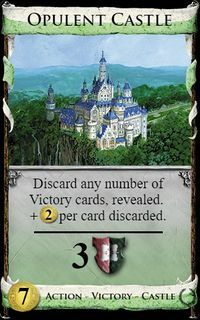 At the start of your Clean-up phase, before discarding anything and before drawing for next turn, if you have a Walled Village in play and no more than two Action cards in play (counting the Walled Village), you may put the Walled Village on top of your deck. 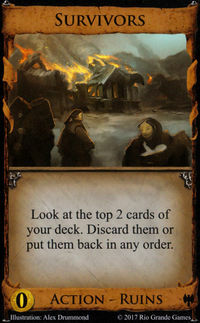 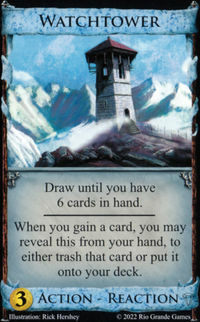 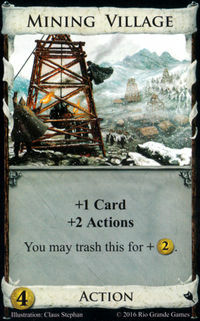 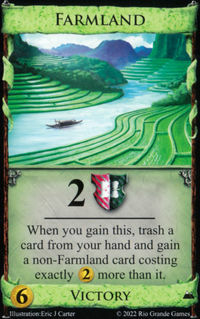 If the only cards you have in play are two Walled Villages, you may put either or both of them on top of your deck. 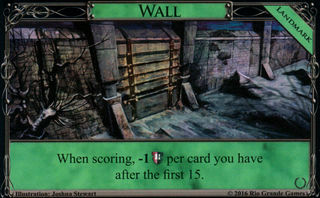 Walled Village has to be in play to be put on top of your deck. 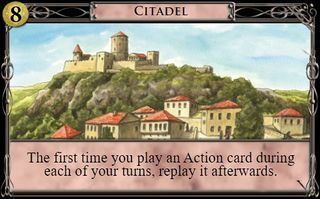 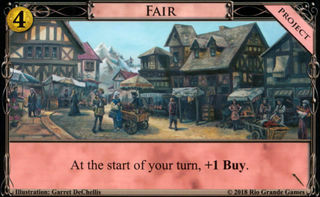 Walled Village only checks how many Action cards are in play when its ability resolves; Action cards you played earlier this turn but which are no longer in play (such as Feast from Dominion (Base Set)) are not counted, while Action cards still in play from previous turns (duration cards from Dominion: Seaside) are counted, as are Action cards that are in play now but may leave play after resolving Walled Village (such as Treasury from Dominion: Seaside). 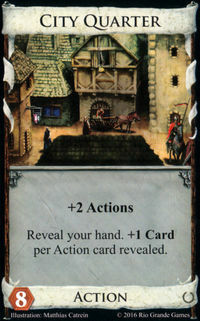 There is no strategy article on Walled Village; it was mentioned in Comparing the Villages, by chwhite, edited by theory. 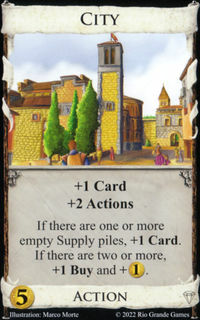 It's not the worst of the villages! 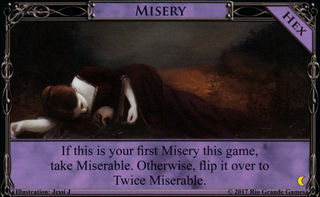 But close to it. 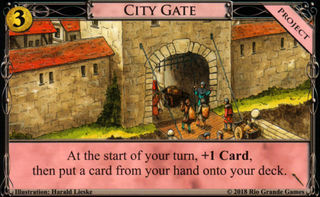 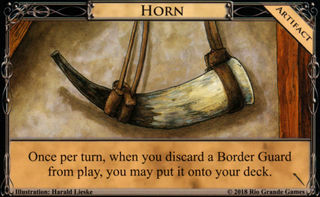 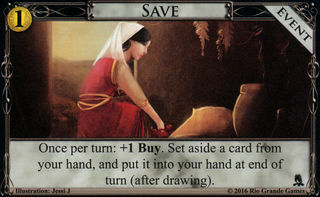 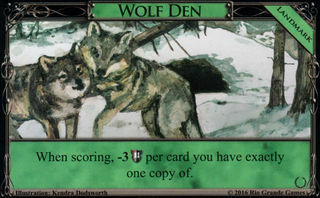 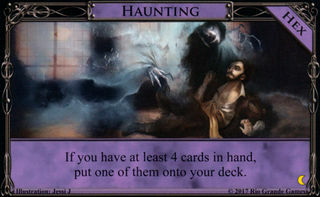 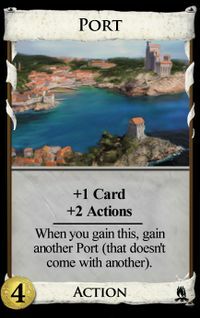 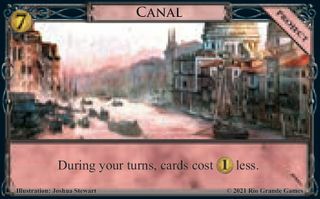 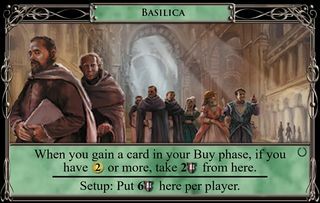 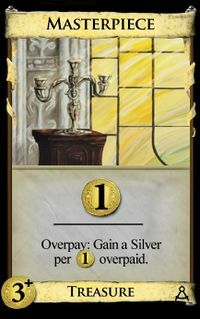 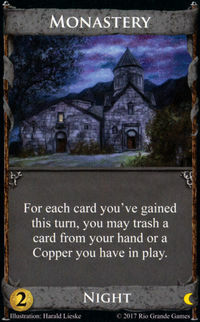 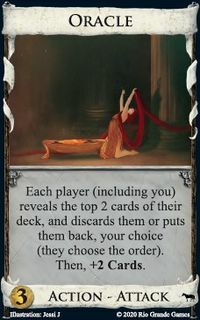 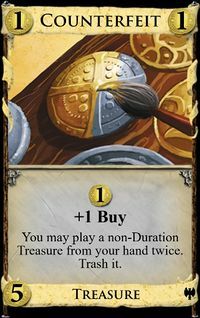 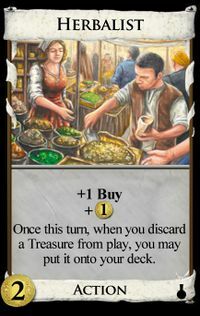 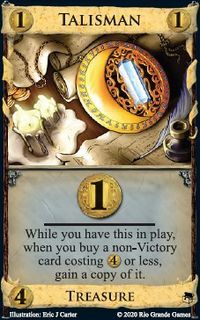 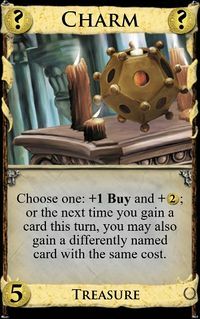 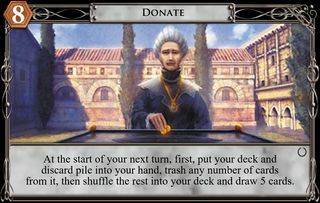 Walled Village’s benefit is usually not worth the extra —in particular, it plays very poorly with cantrips; it requires a deck that needs terminals to actually be worth it. 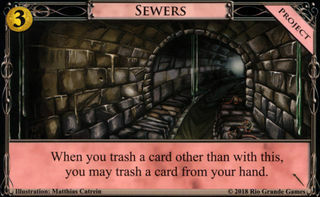 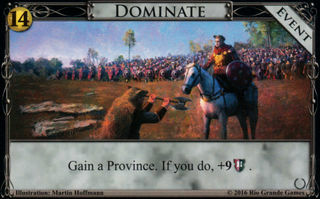 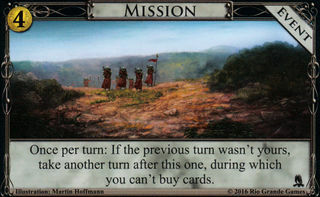 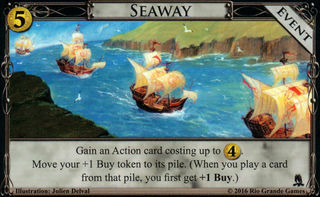 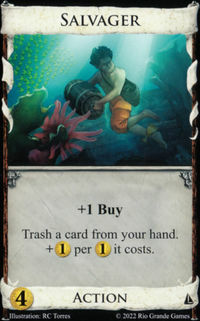 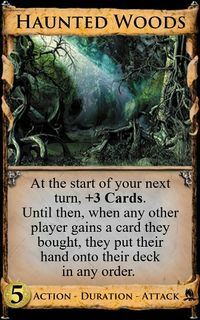 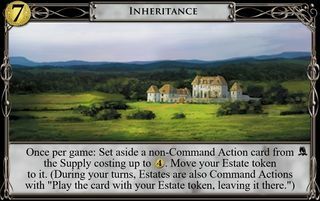 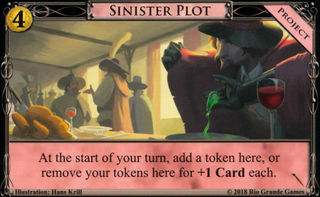 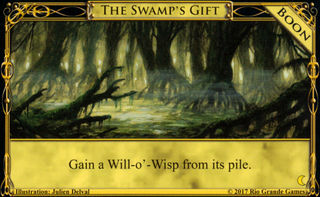 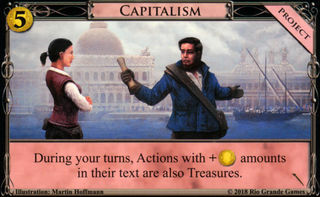 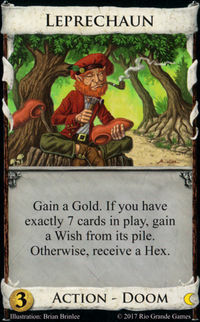 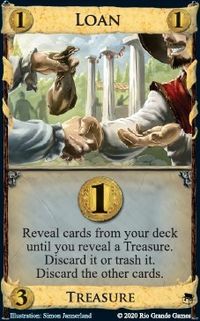 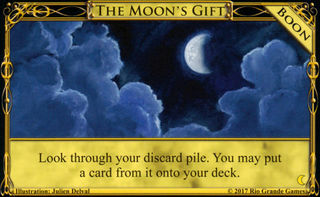 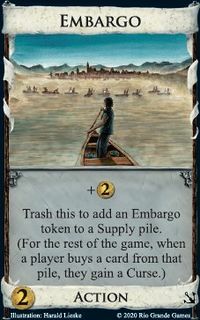 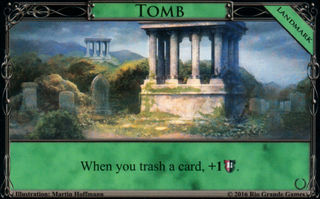 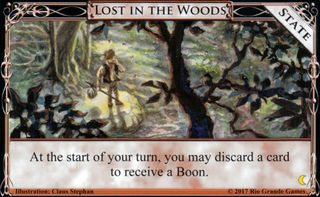 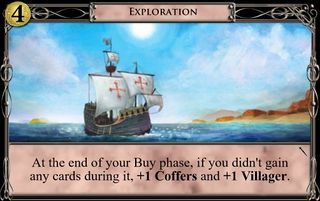 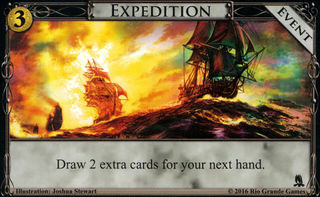 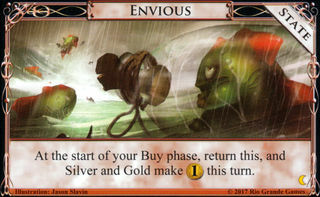 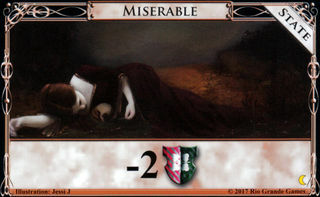 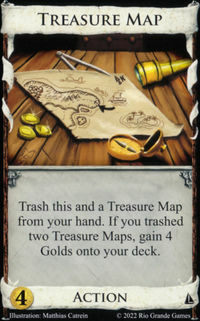 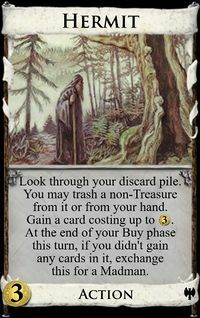 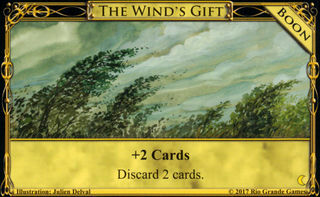 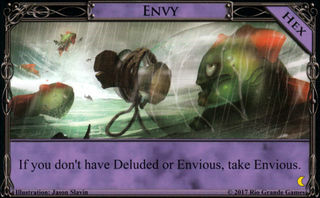 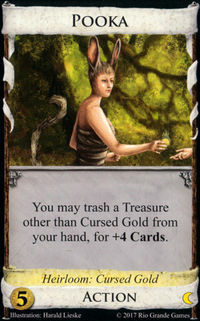 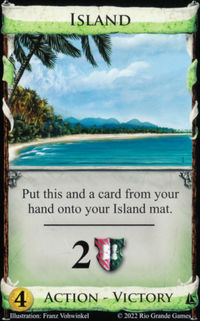 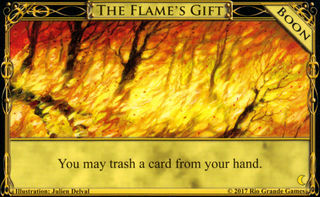 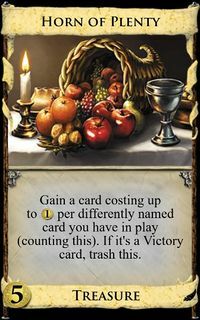 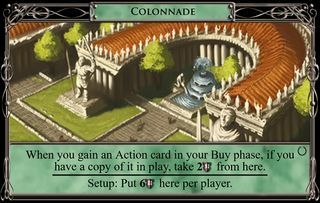 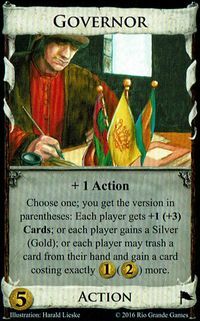 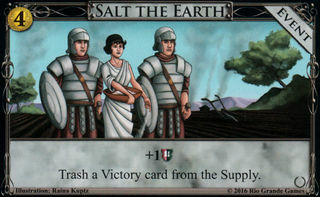 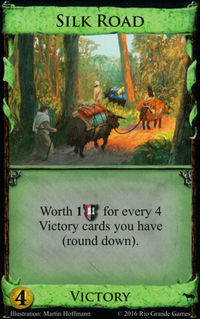 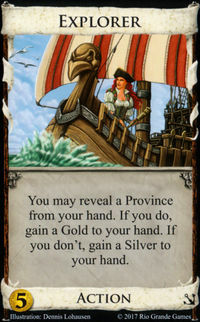 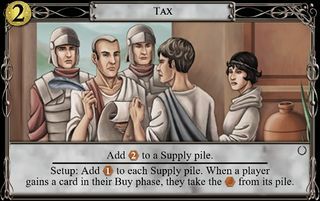 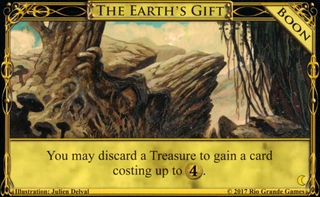 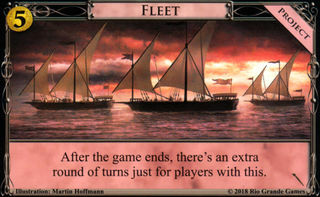 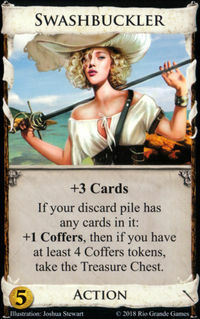 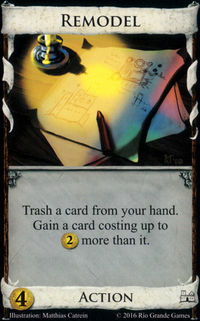 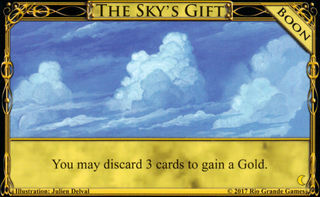 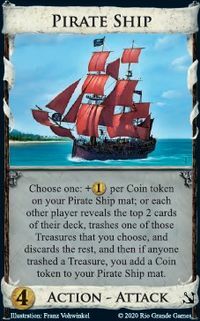 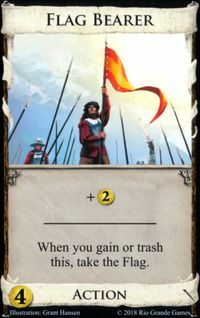 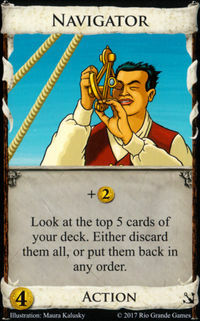 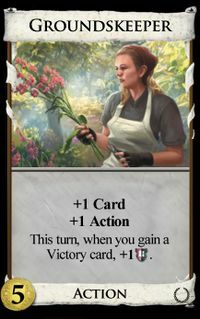 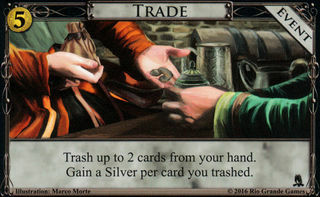 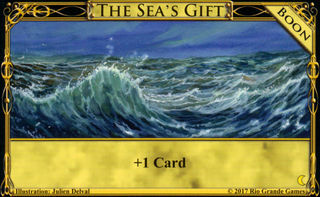 It’s theoretically nice with cards that trash themselves (Island , Embargo , etc.) 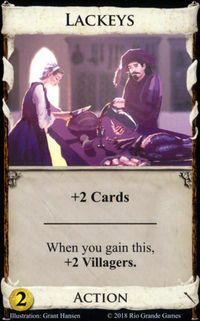 but I think Walled Village’s best use is with Torturer . 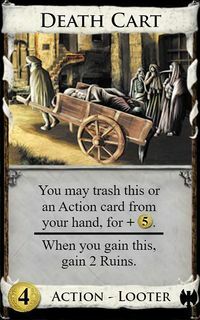 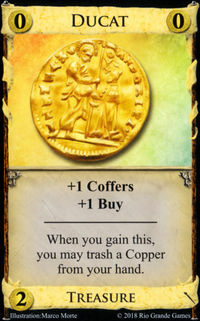 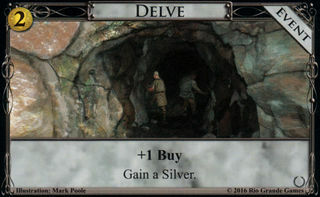 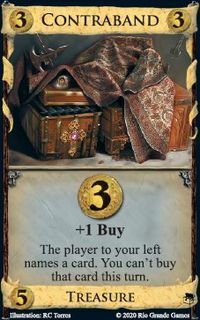 It lets you buy fewer villages than would usually be necessary to get the first double-Torturer hit; in fact one is sufficient for much longer than it would normally be. 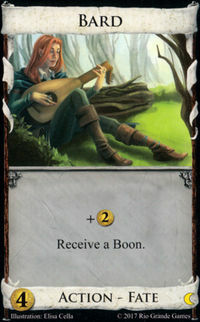 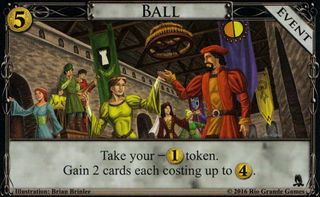 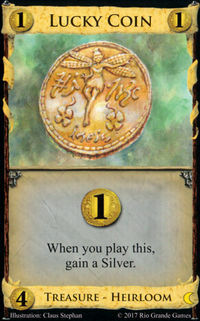 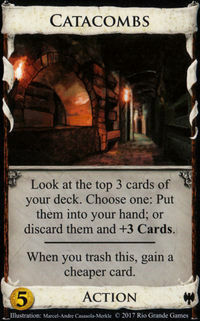 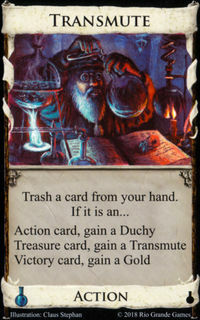 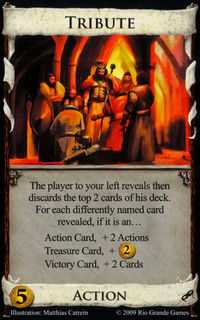 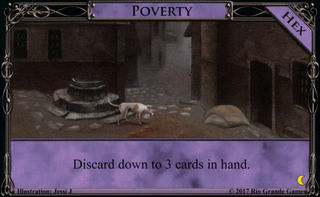 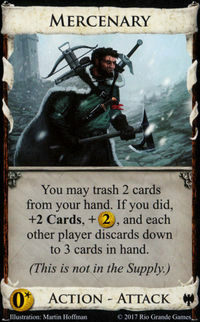 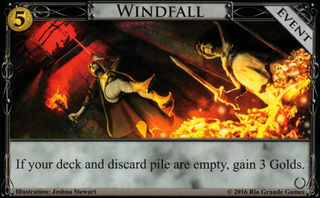 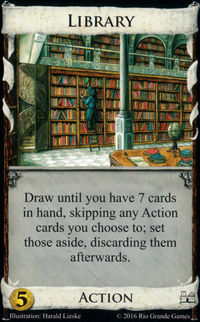 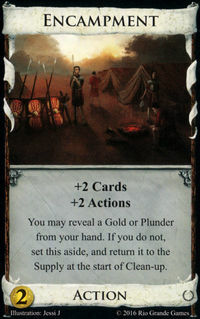 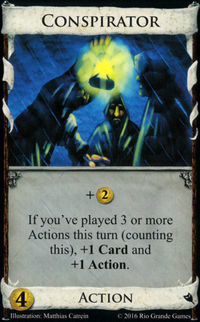 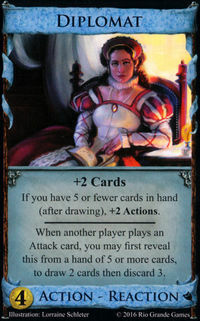 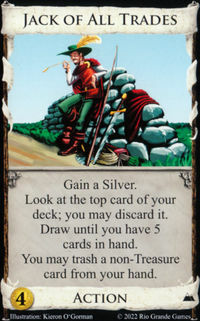 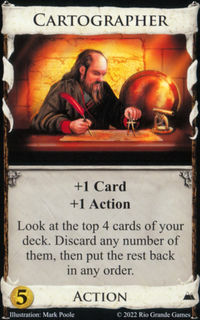 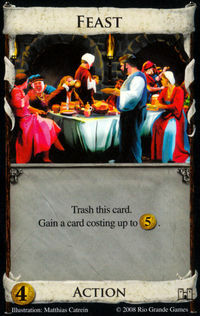 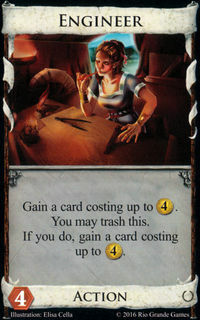 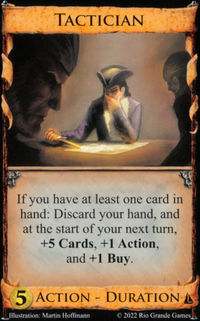 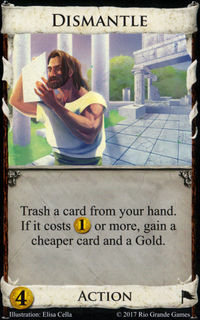 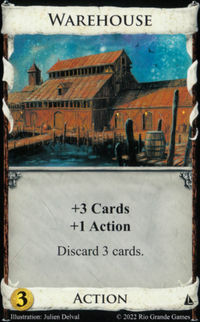 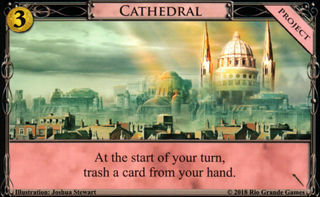 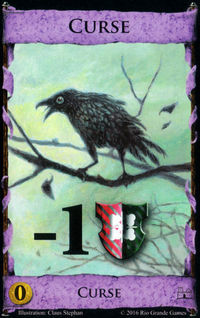 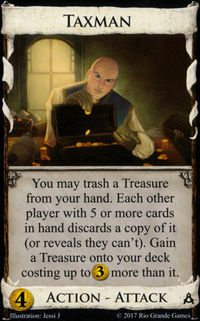 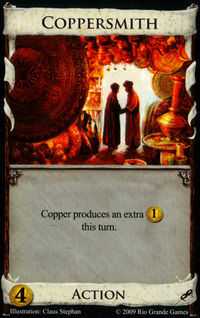 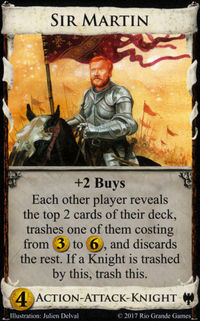 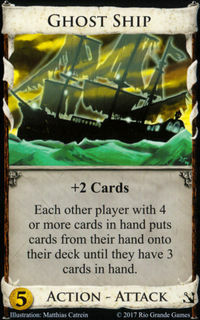 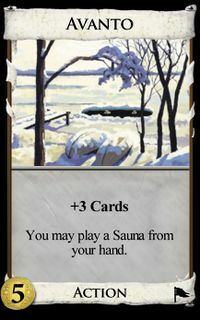 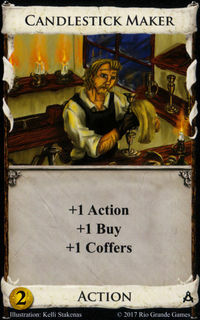 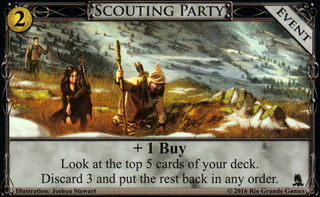 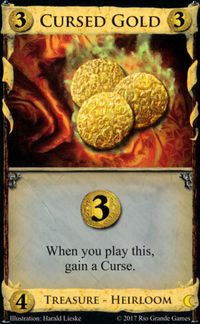 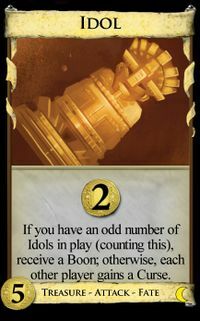 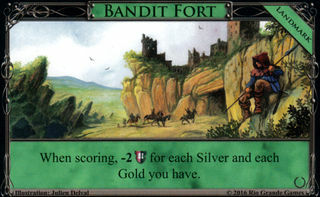 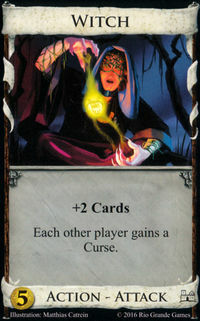 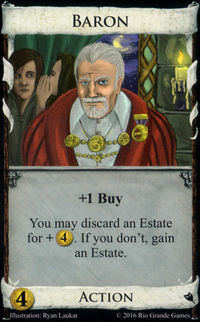 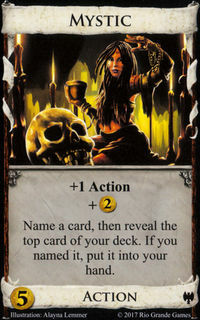 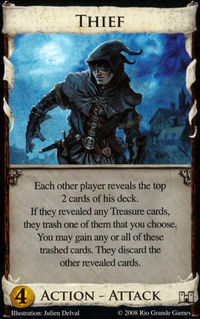 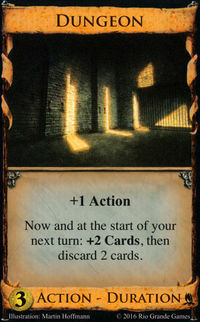 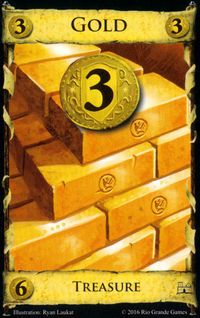 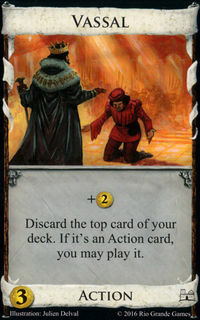 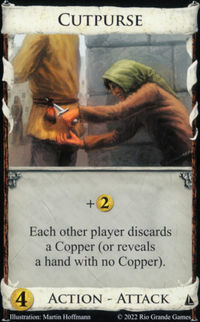 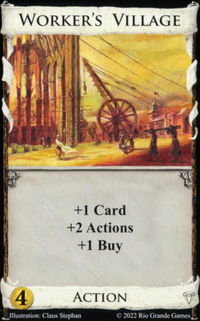 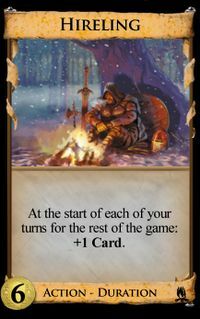 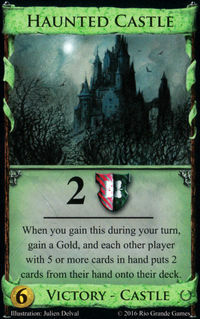 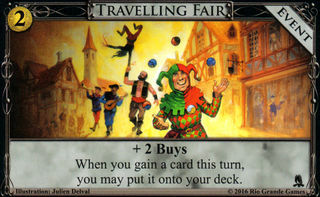 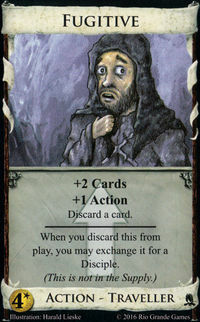 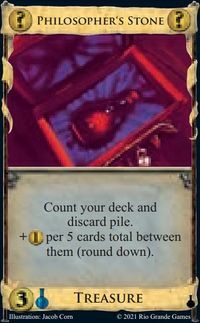 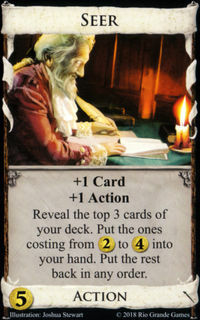 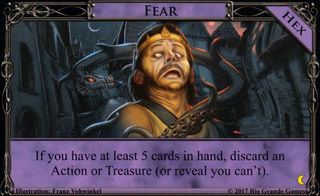 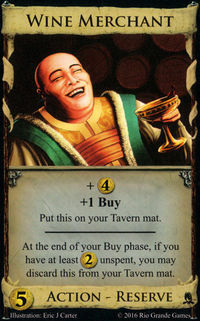 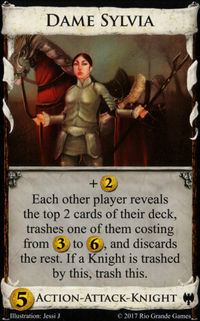 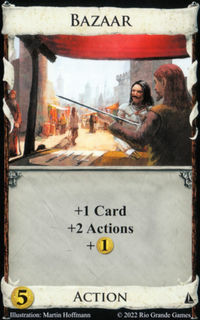 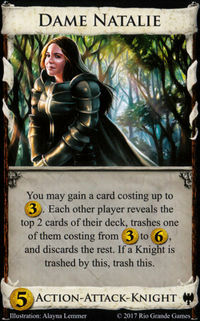 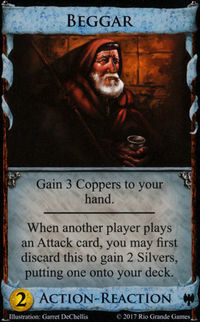 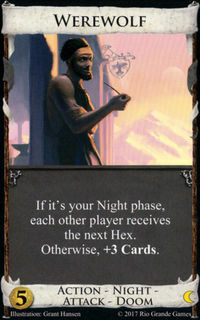 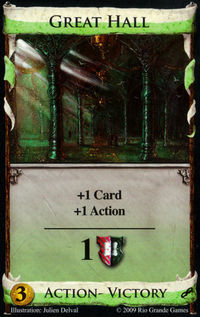 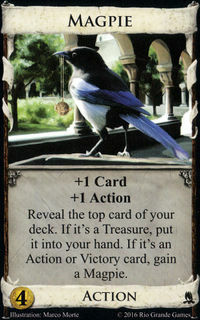 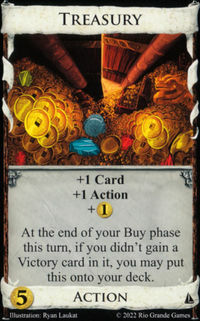 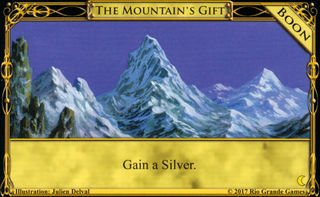 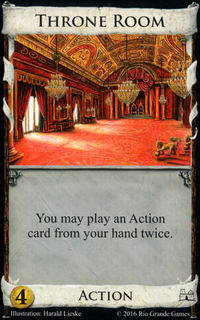 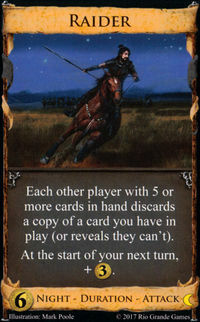 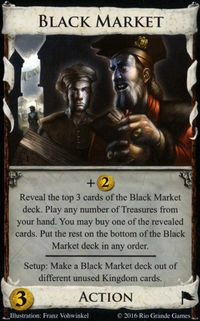 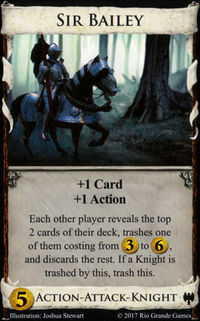 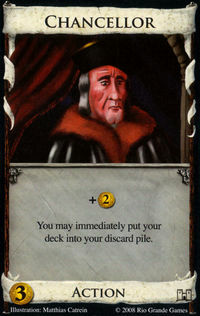 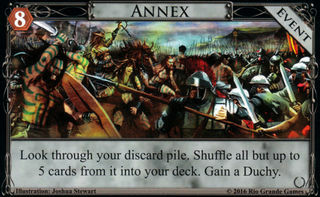 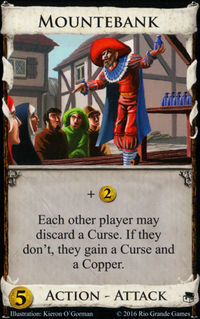 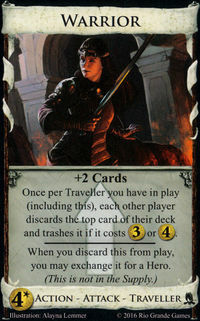 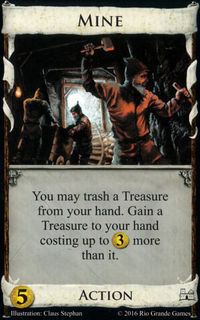 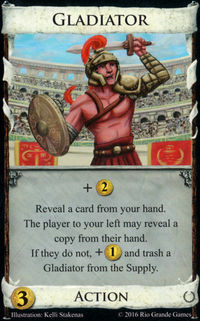 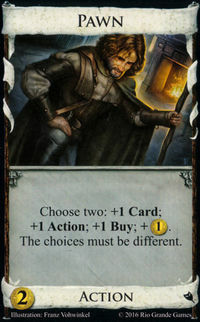 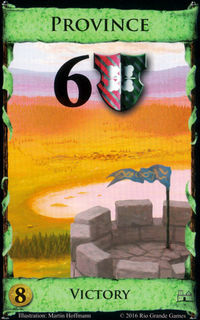 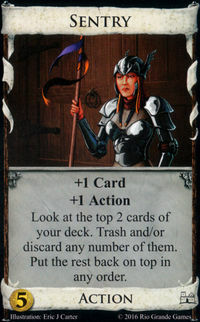 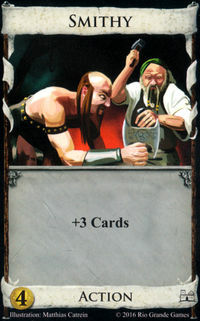 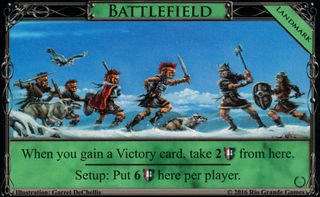 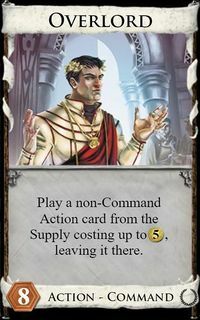 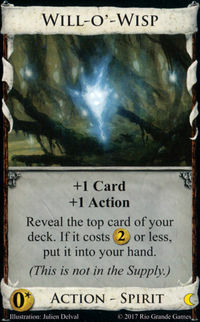 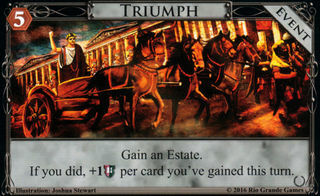 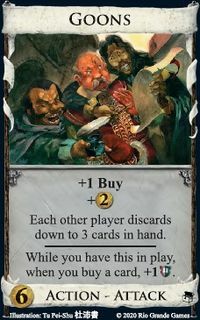 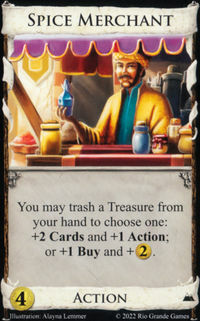 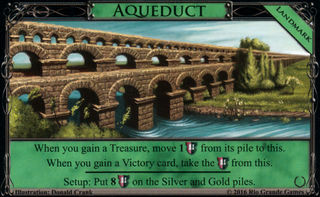 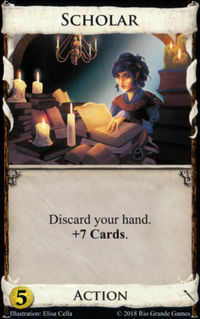 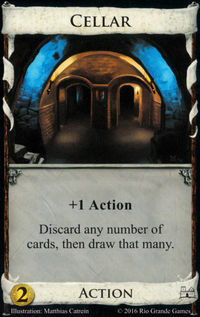 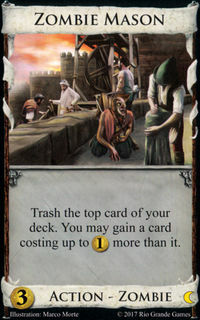 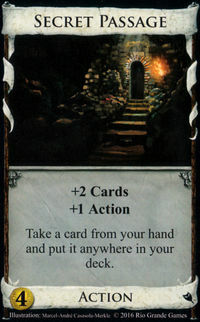 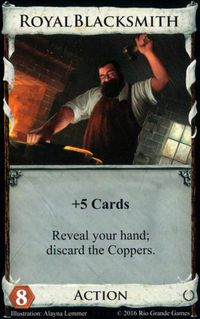 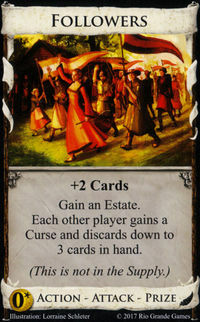 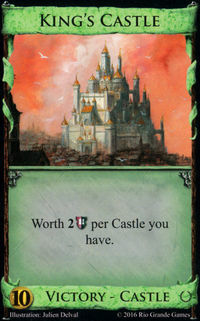 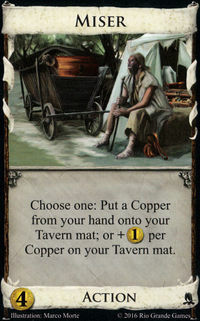 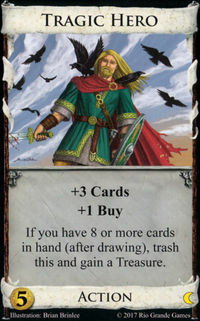 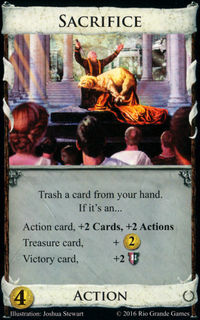 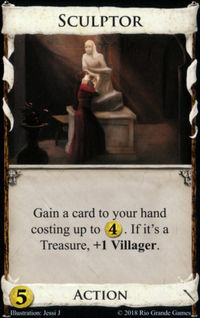 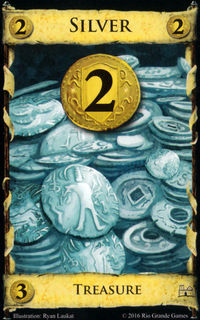 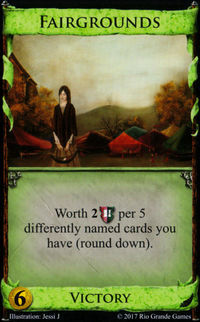 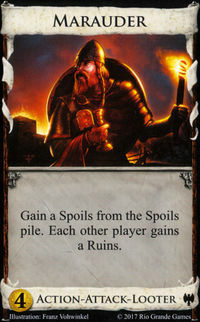 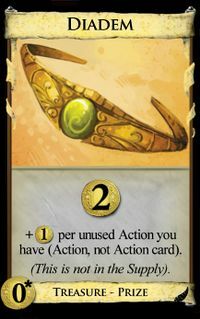 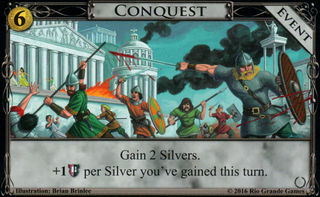 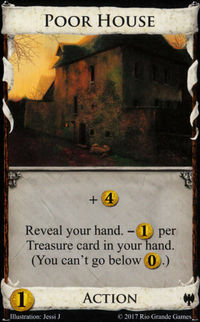 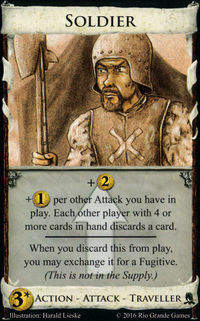 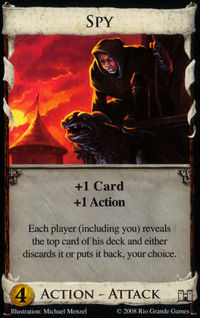 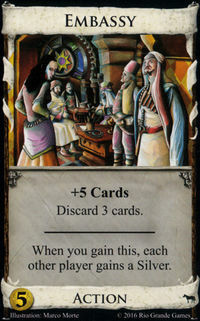 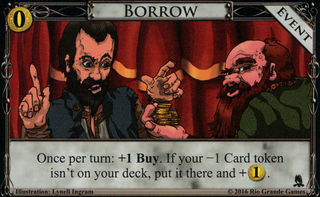 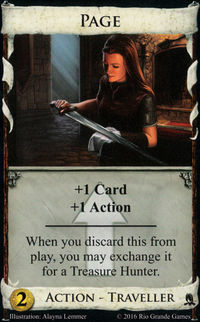 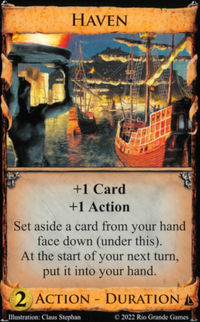 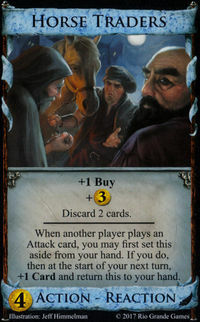 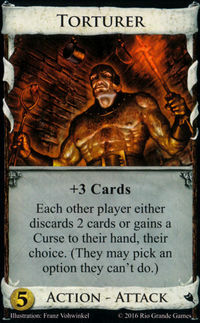 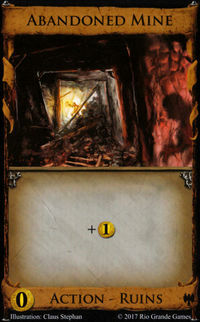 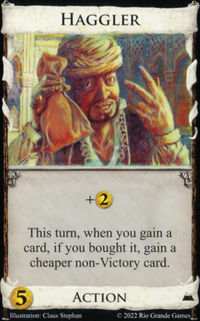 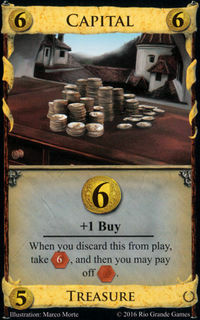 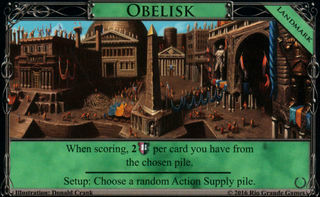 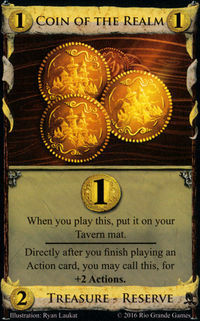 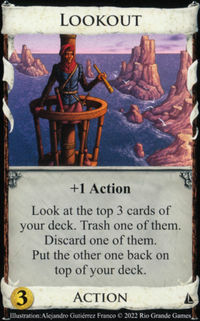 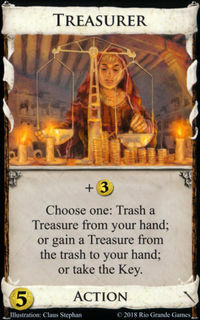 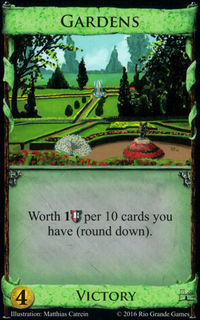 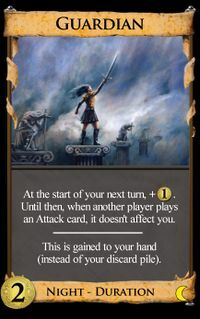 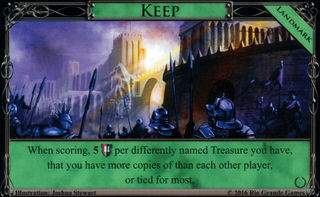 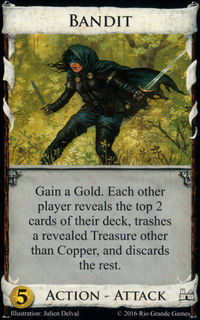 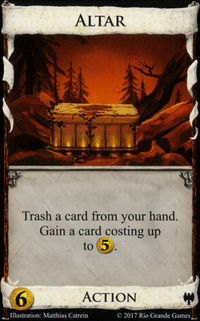 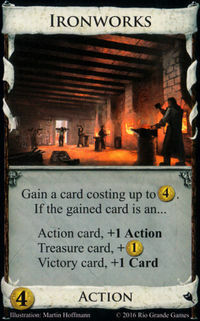 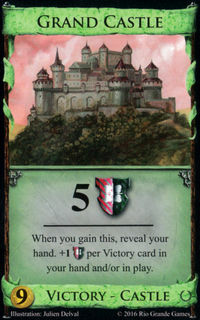 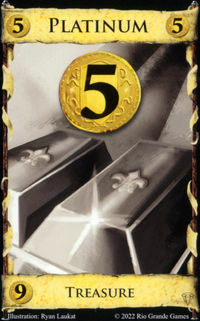 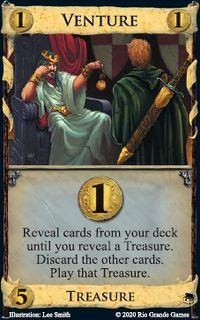 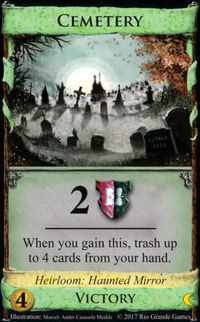 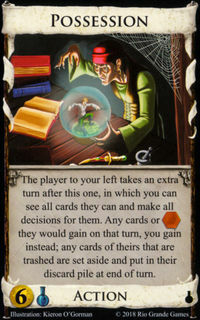 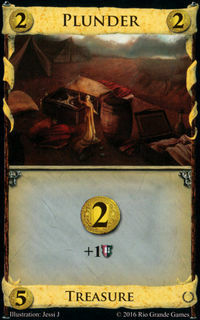 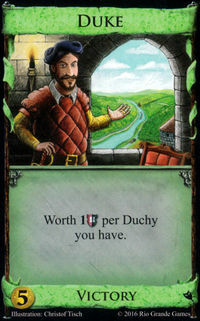 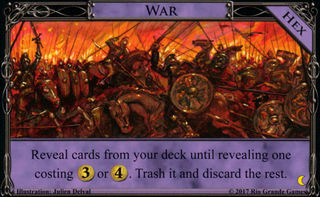 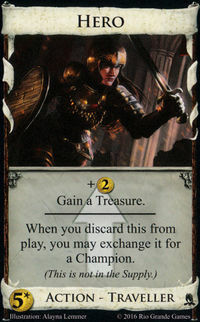 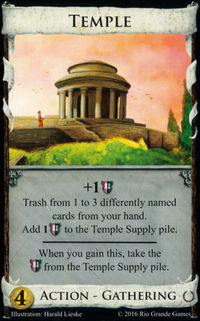 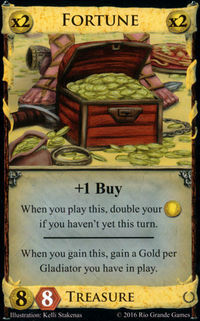 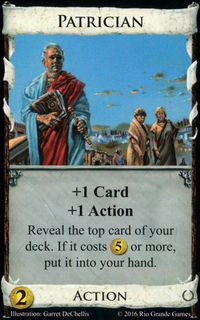 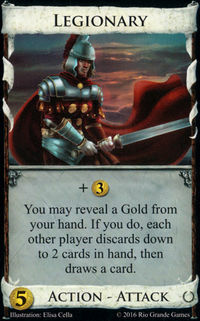 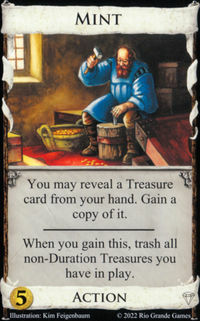 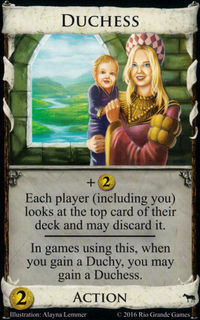 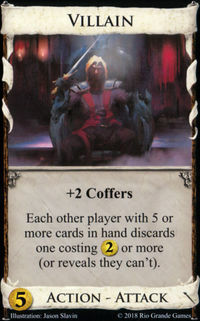 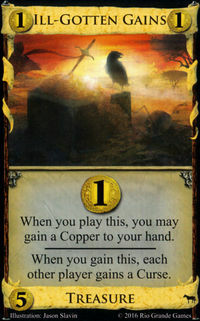 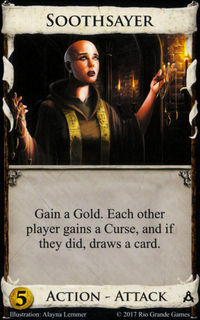 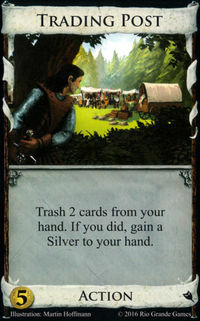 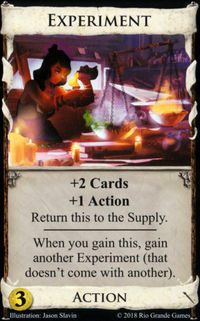 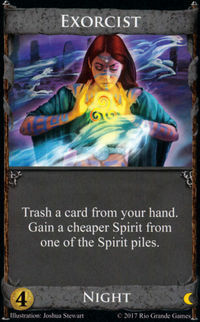 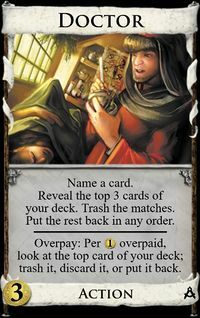 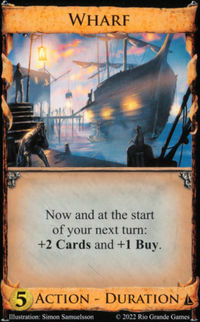 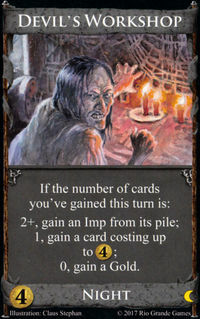 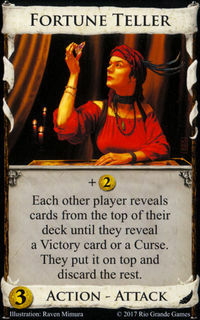 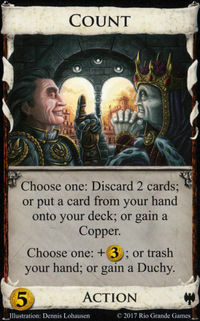 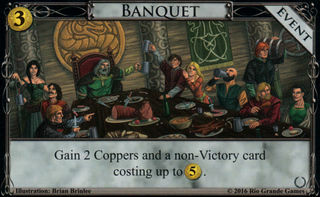 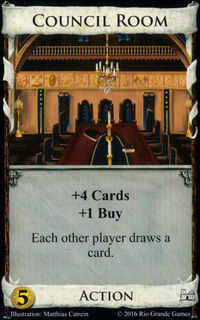 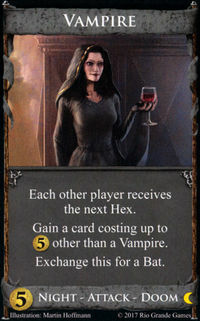 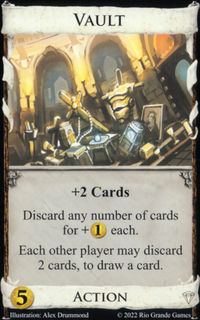 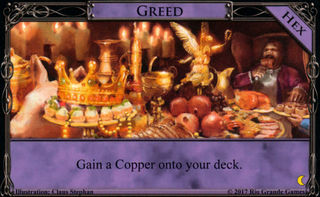 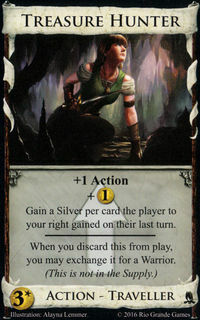 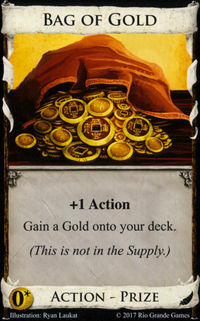 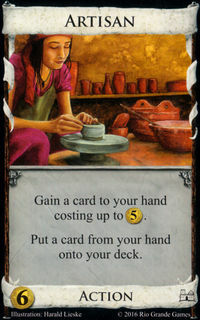 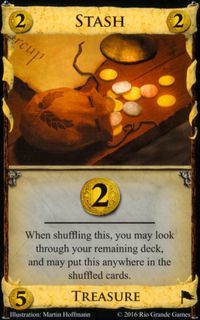 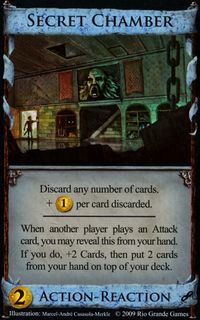 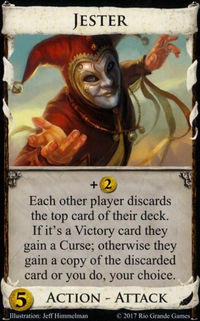 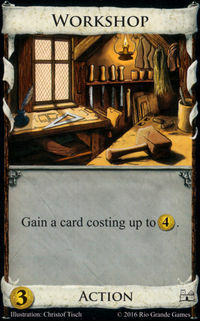 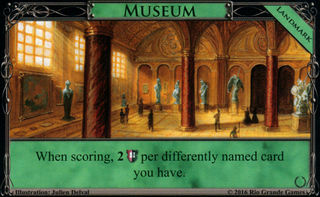 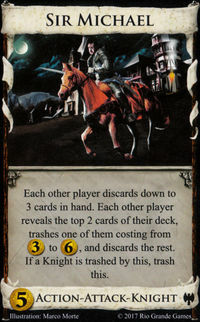 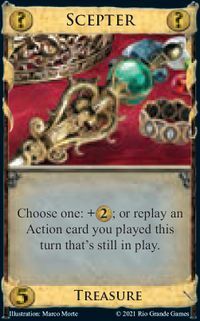 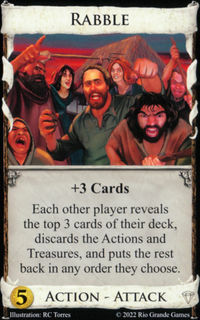 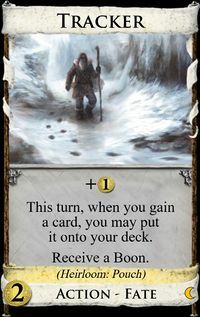 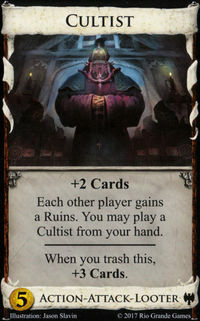 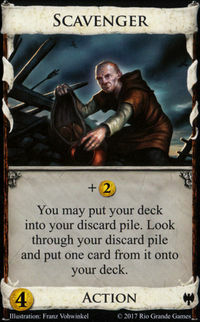 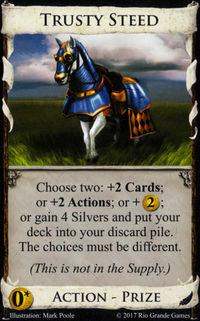 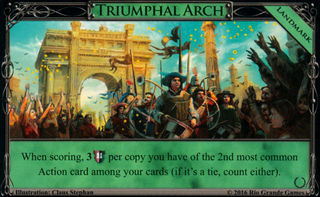 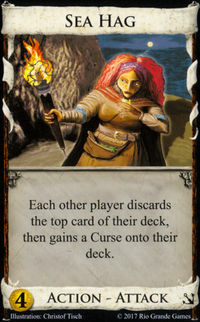 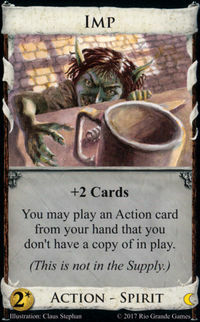 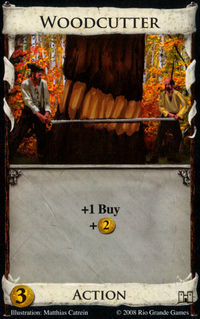 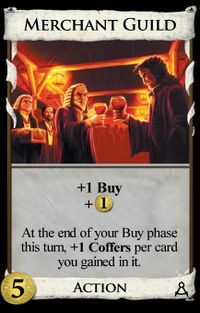 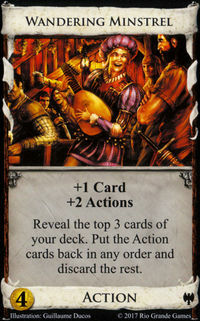 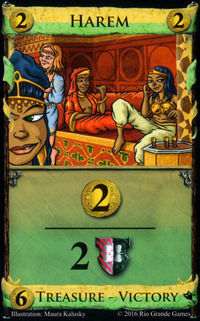 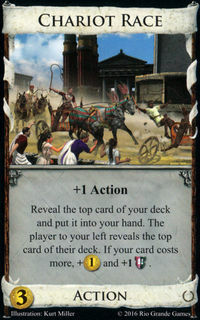 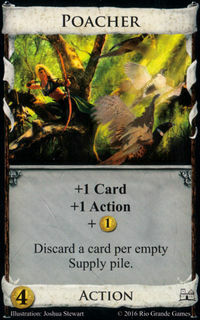 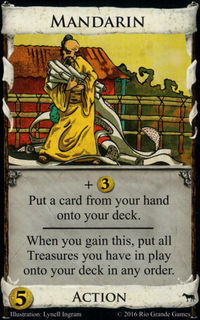 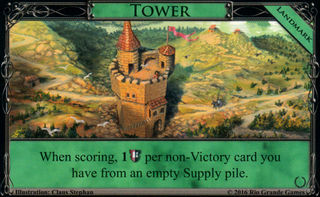 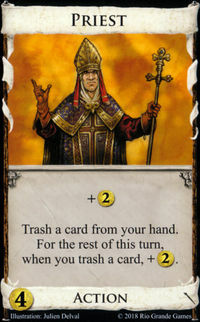 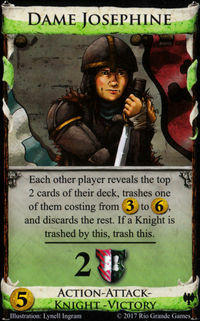 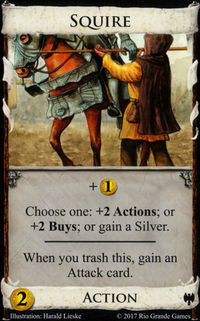 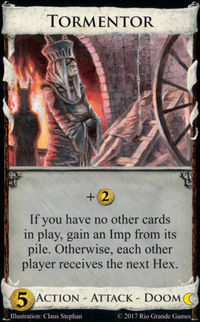 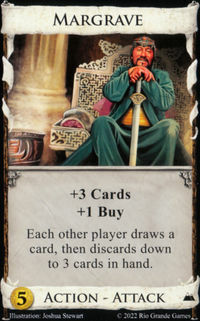 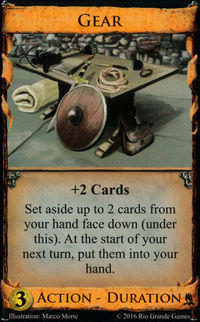 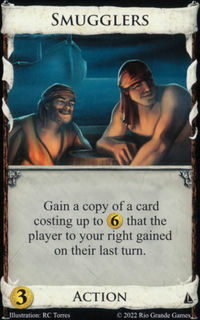 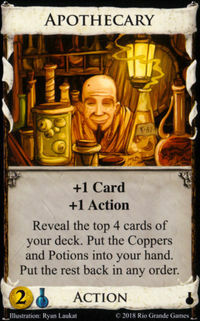 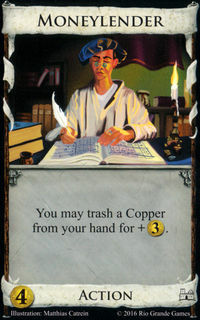 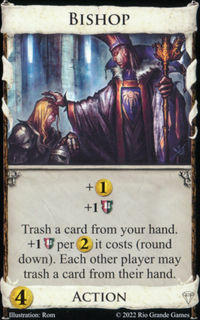 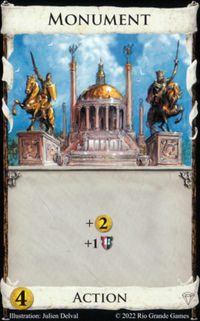 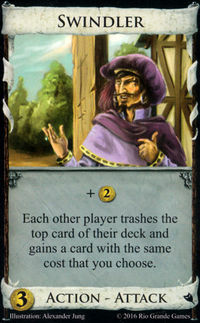 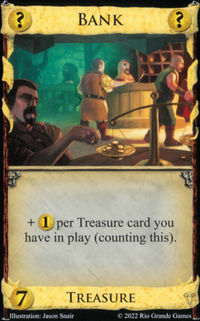 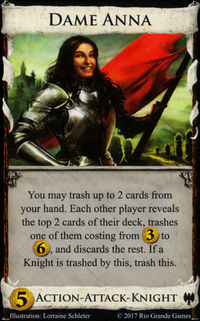 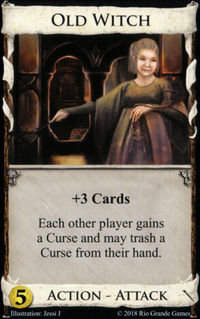 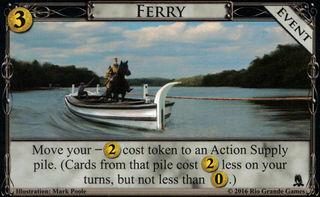 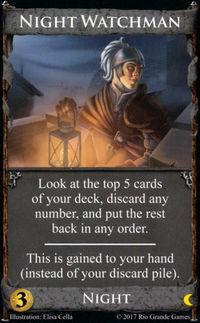 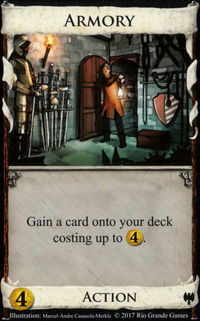 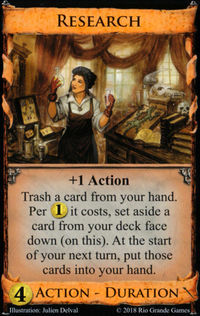 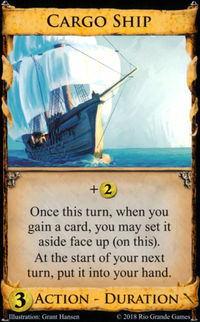 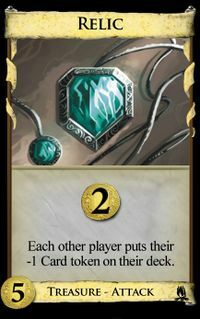 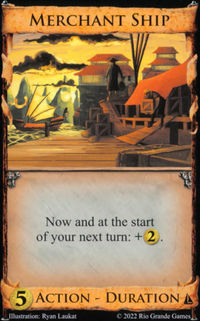 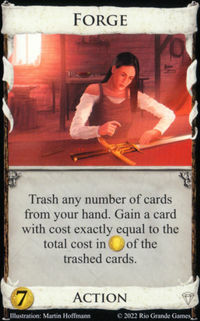 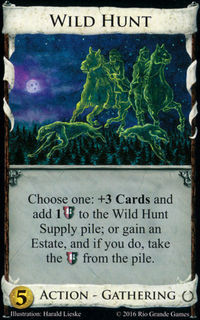 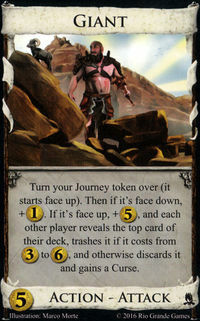 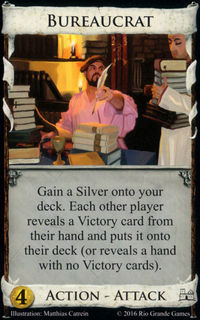 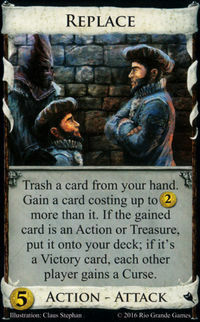 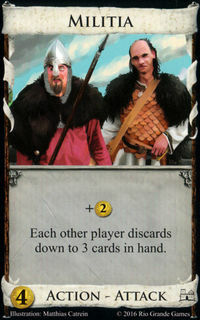 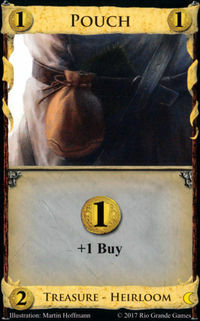 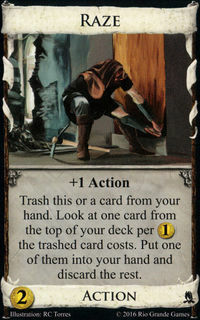 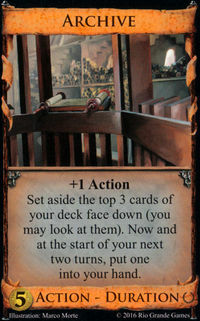 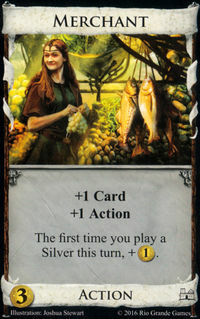 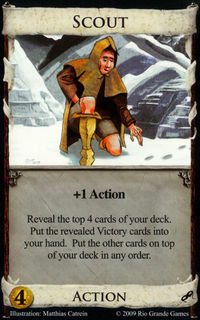 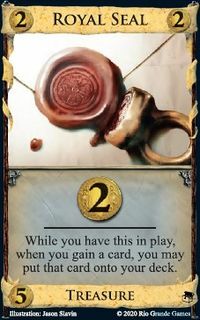 In general Walled Village is good in decks with a few strong terminals, and weak in longer chains. 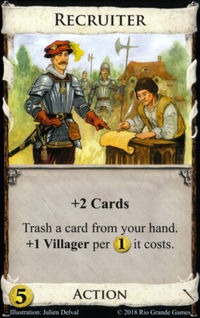 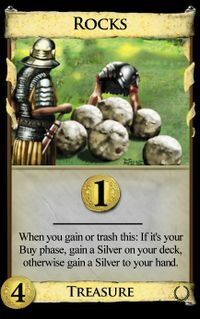 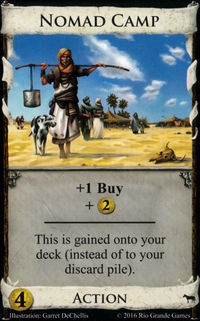 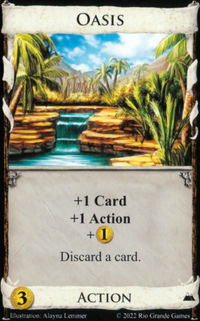 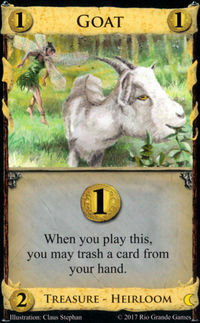 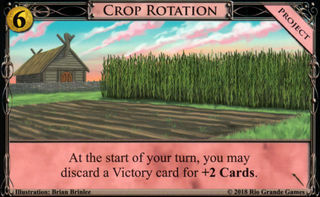 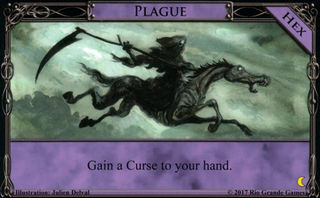 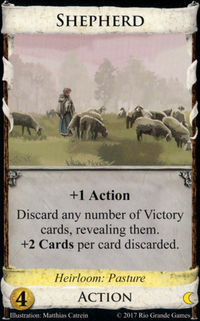 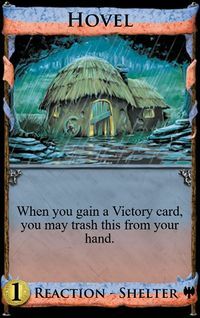 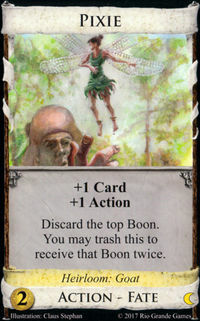 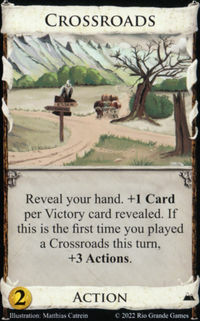 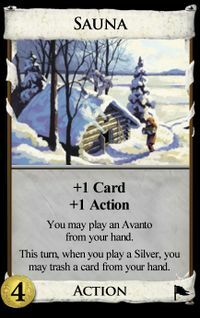 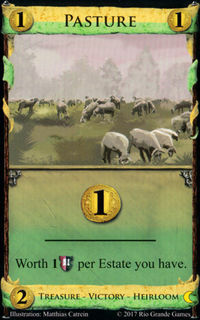 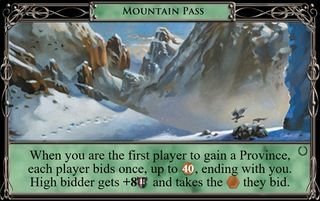 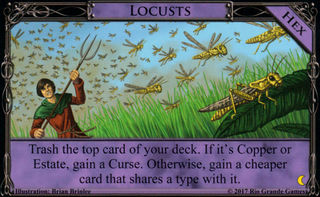 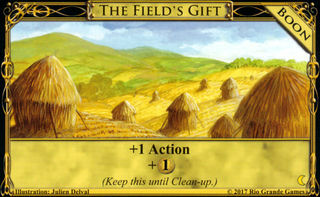 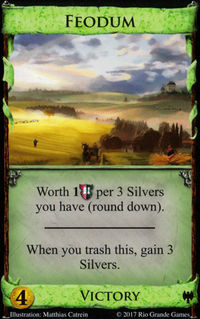 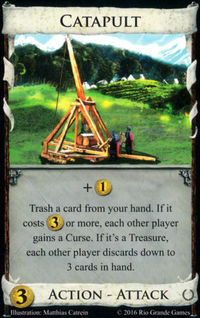 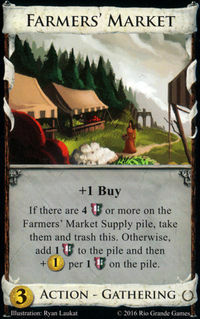 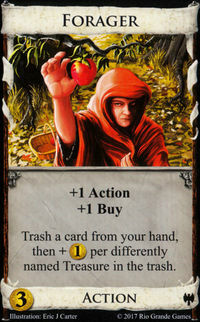 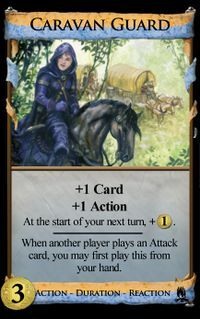 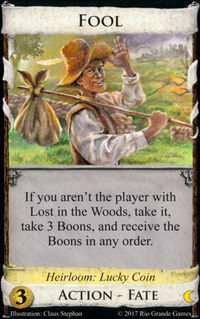 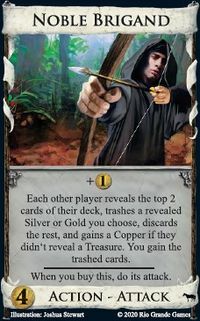 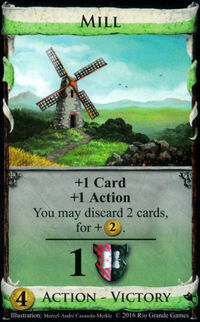 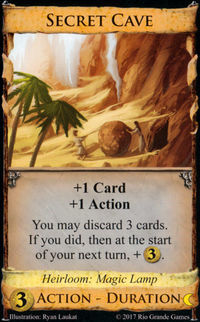 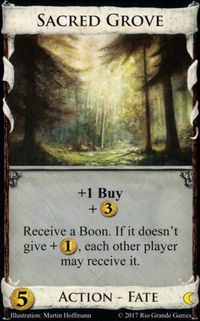 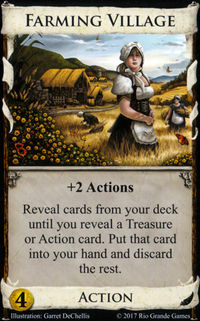 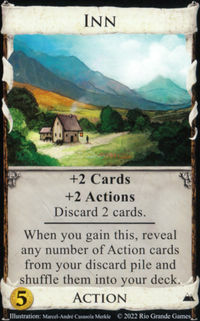 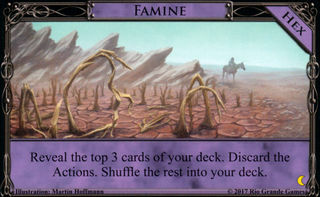 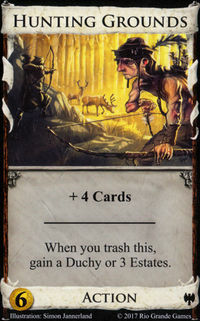 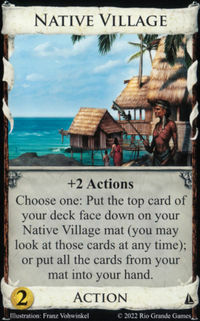 The fact is that none of the villages that give +2 Actions straight up are actually bad cards; there are no villages I’d put on any “worst of” lists, not even Walled Village. 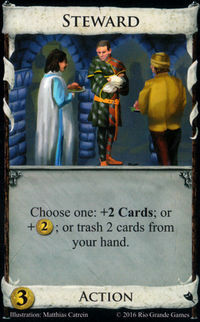 But Walled Village provides few or uncertain benefits beyond its village effect. 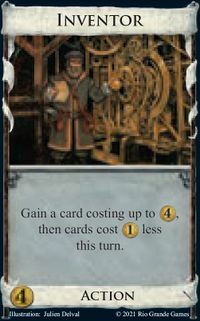 If you don’t have a specific engine in mind, it is usually skippable. 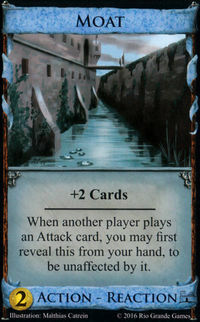 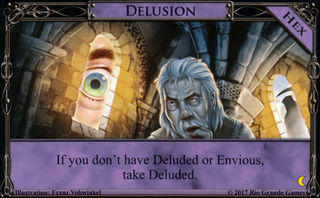 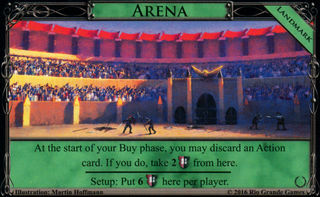 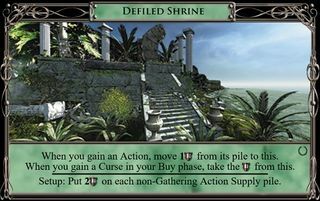 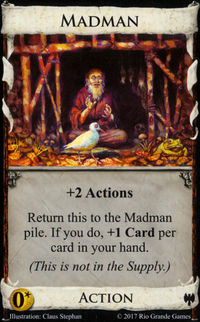 Non-terminal Actions block Walled Village's top-decking ability; in a deck with a lot of non-terminals, Walled Village is no better than a vanilla Village . 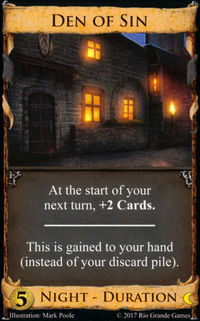 Duration cards can interfere with Walled Village as well. 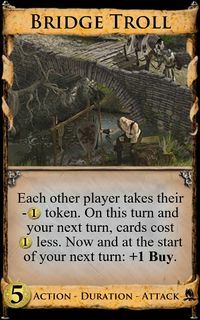 On the second turn they're in play, they can block Walled Village from top-decking itself even if you didn't play more two more actions on that turn. 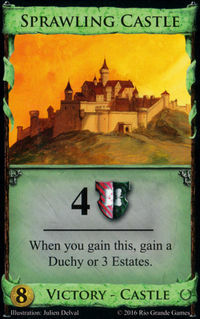 Wenn du zu Beginn deiner Aufräumphase außer dieser Karte nur noch eine weitere Aktionskarte im Spiel hast, darfst du die Karte Carcassonne auf deinen Nachziehstapel legen. 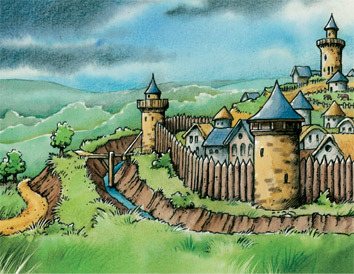 The art shows the medieval village Carcassonne. 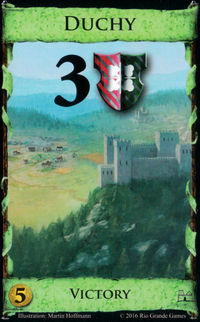 The expansion symbol is a Carcassonne meeple. 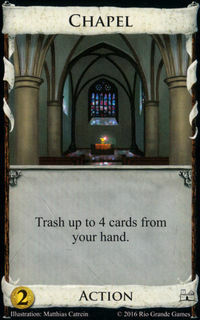 This is an outtake from the 7th expansion[notes 2]. 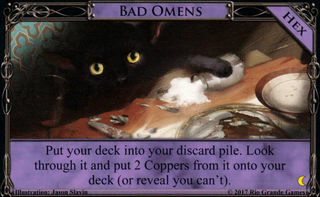 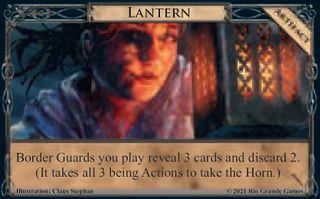 I replaced it with an on-theme card. 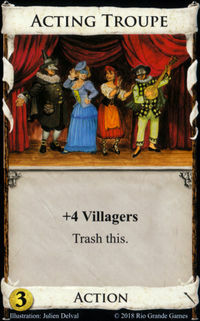 A few people were sad to see it go, but all of the Village slots in the other sets were full, so it was dead. 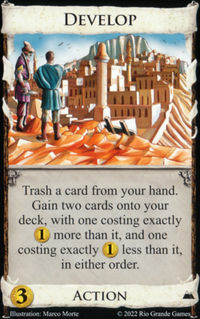 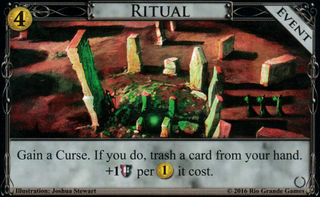 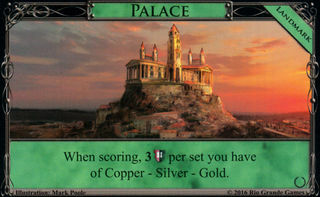 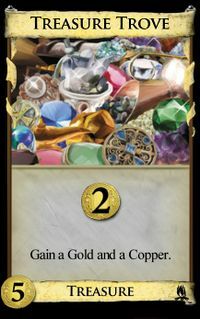 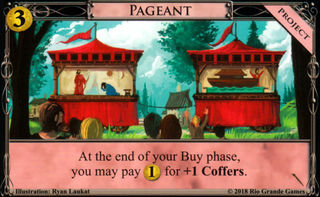 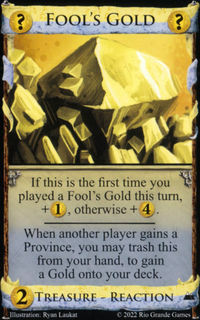 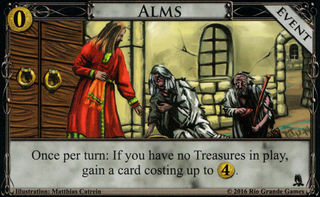 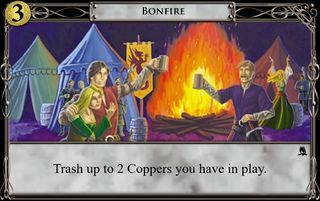 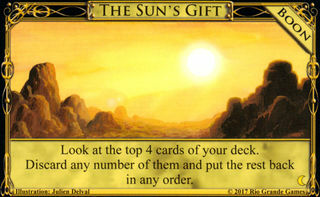 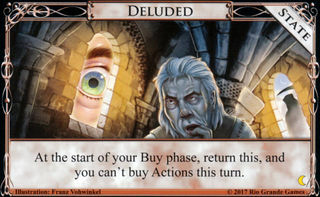 Walled Village is too lackluster to be a promo. 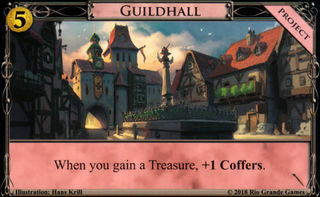 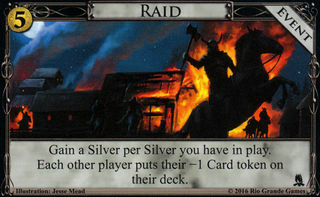 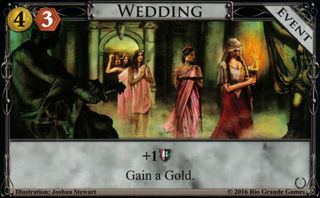 ↑ Guilds had originally been slated to come out before Dark Ages. 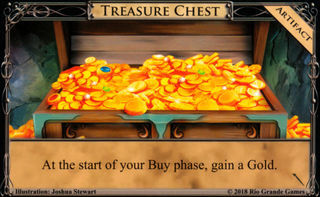 This page was last modified on 13 April 2019, at 10:48. 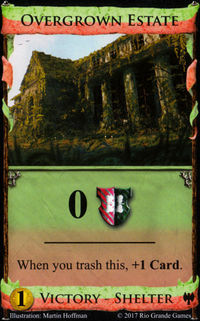 This page has been accessed 21,598 times.